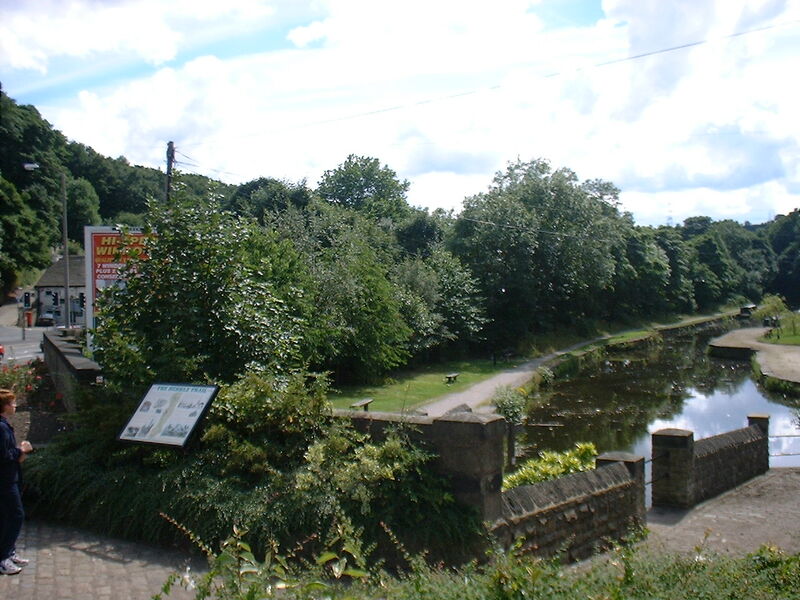 The Calder and Hebble Navigation was surveyed by both John Smeaton and James Brindley. 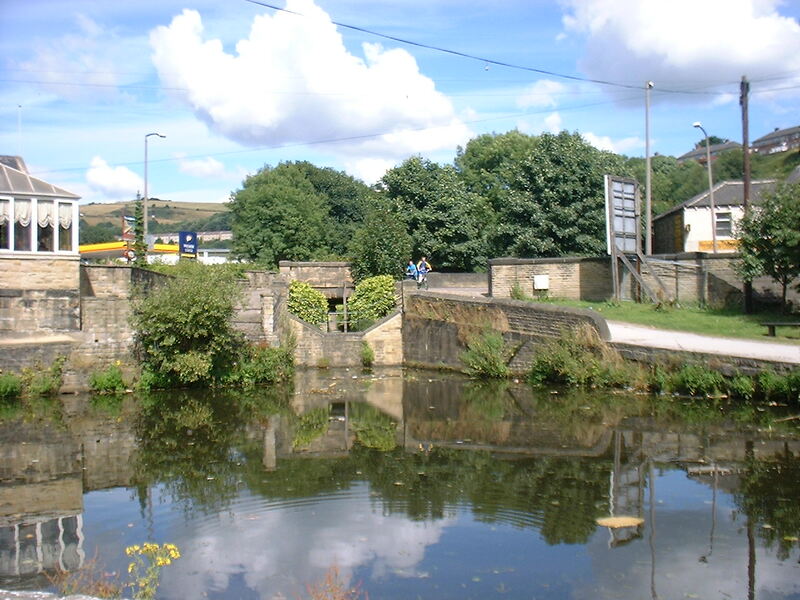 The canal travels eastwards from Sowerby Bridge Wharf to link with the Aire and Calder Navigation at Wakefield. 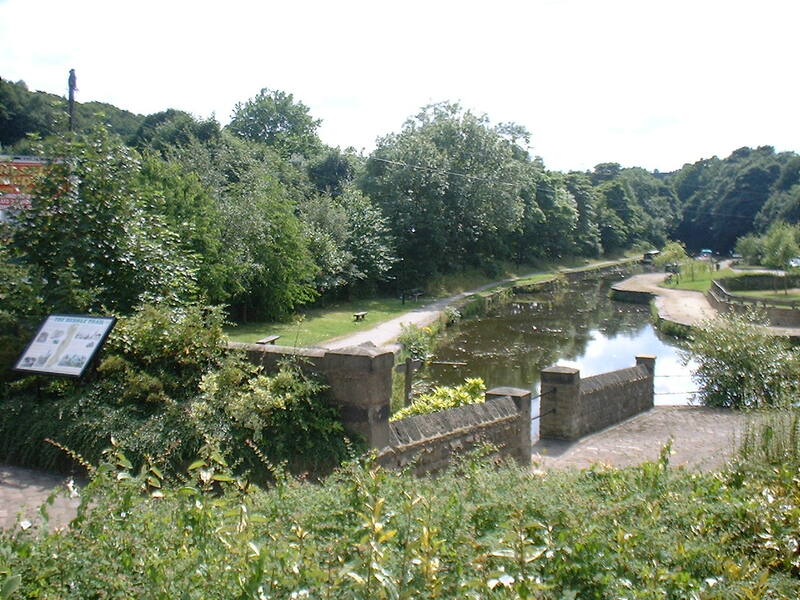 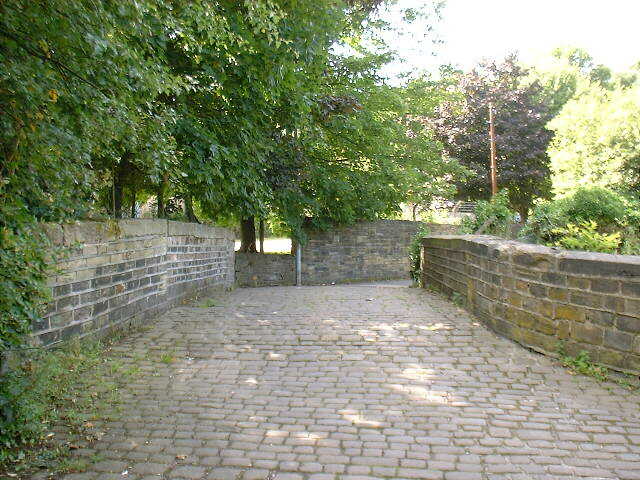 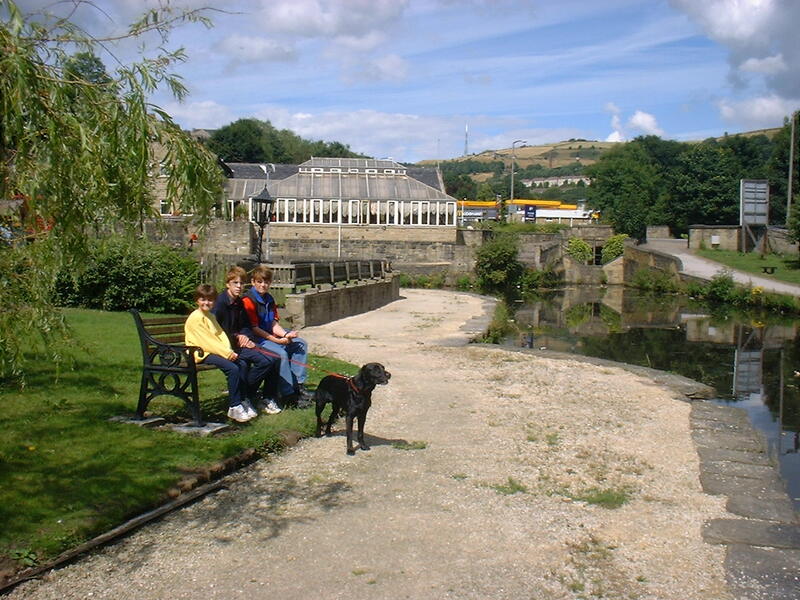 Completed in 1770 it is a mix of true canal and canalised sections of the River Calder. 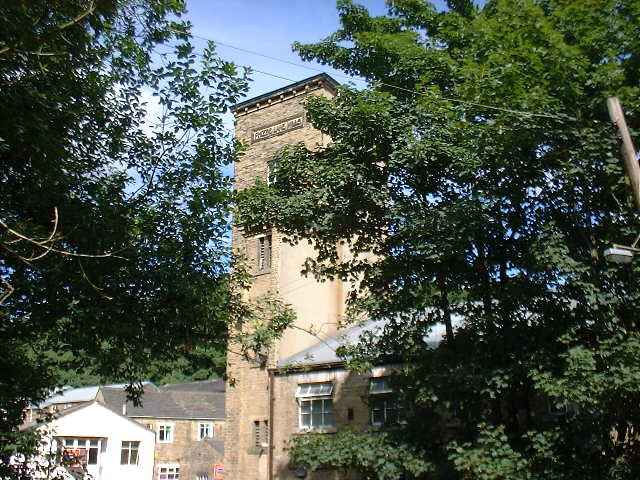 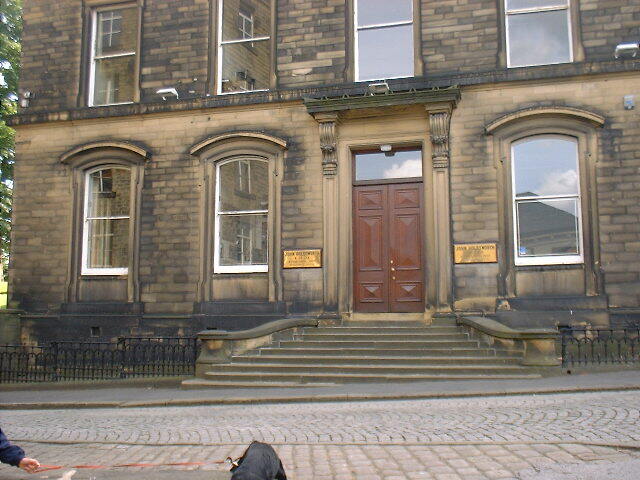 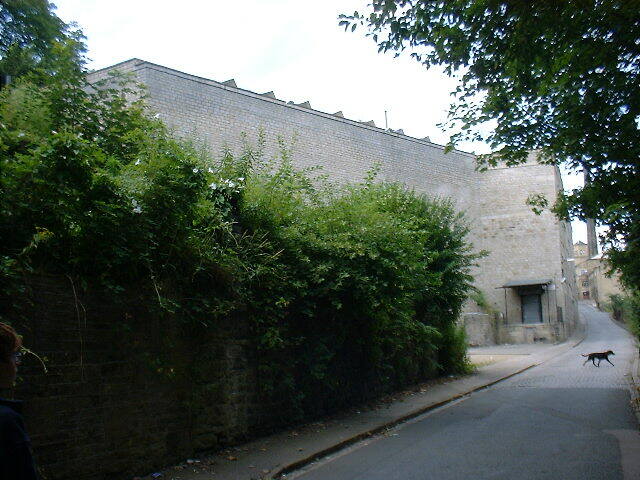 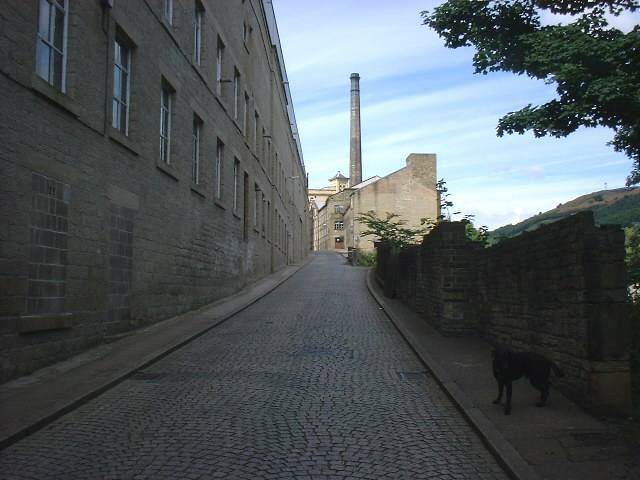 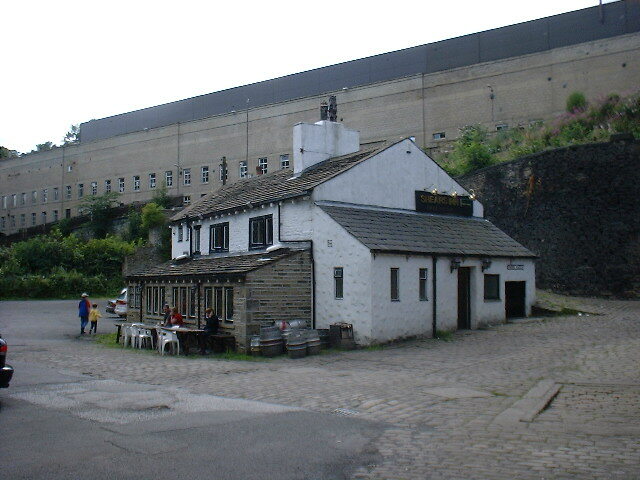 The Halifax branch was opened in 1828 from Salterhebble climbing up to terminate near the centre of Halifax, but was closed in 1942. 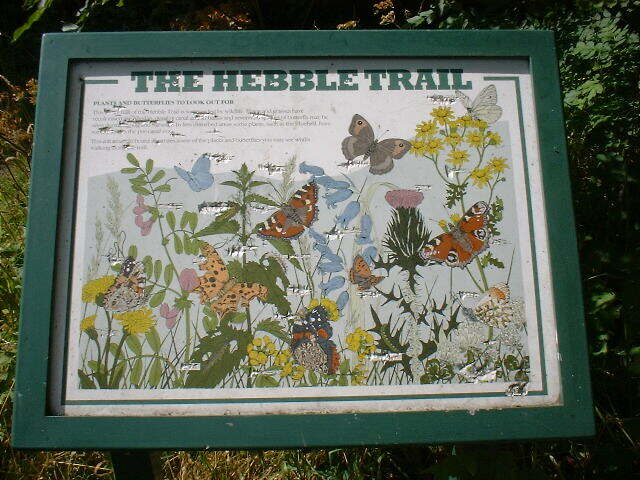 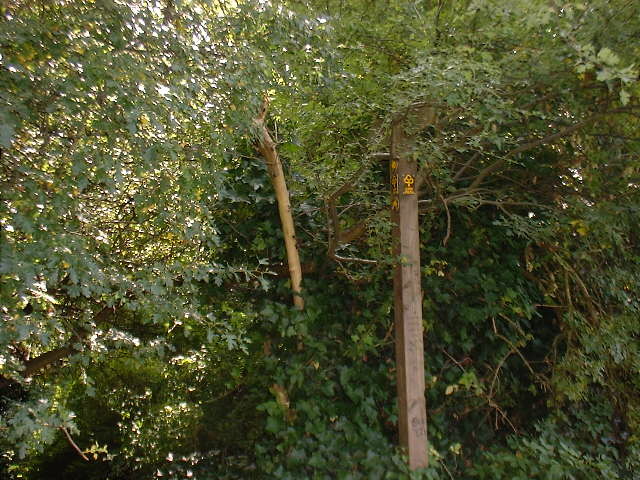 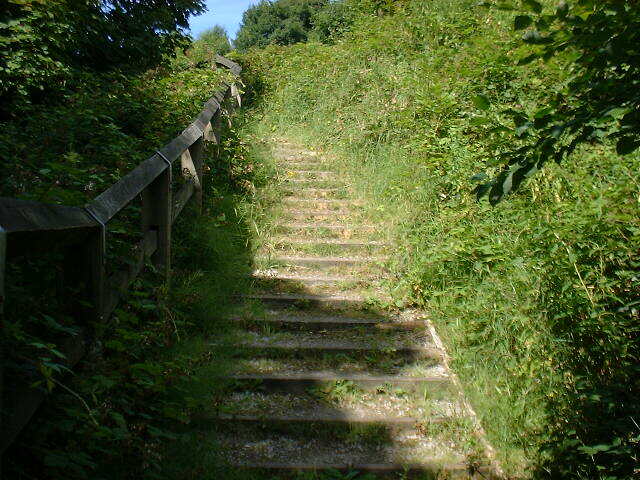 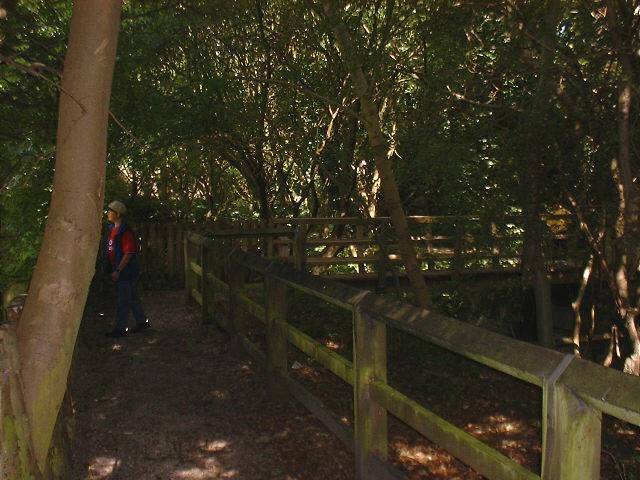 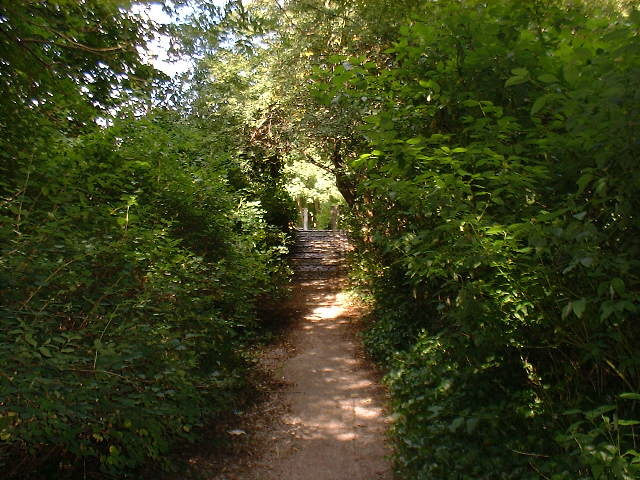 The Hebble Trail walking route closely follows its course. 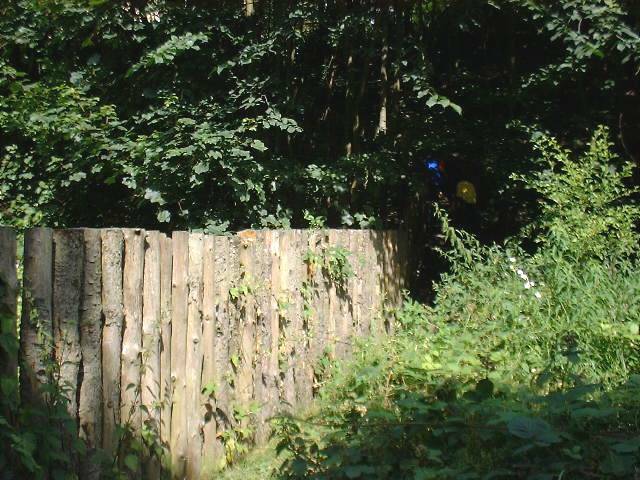 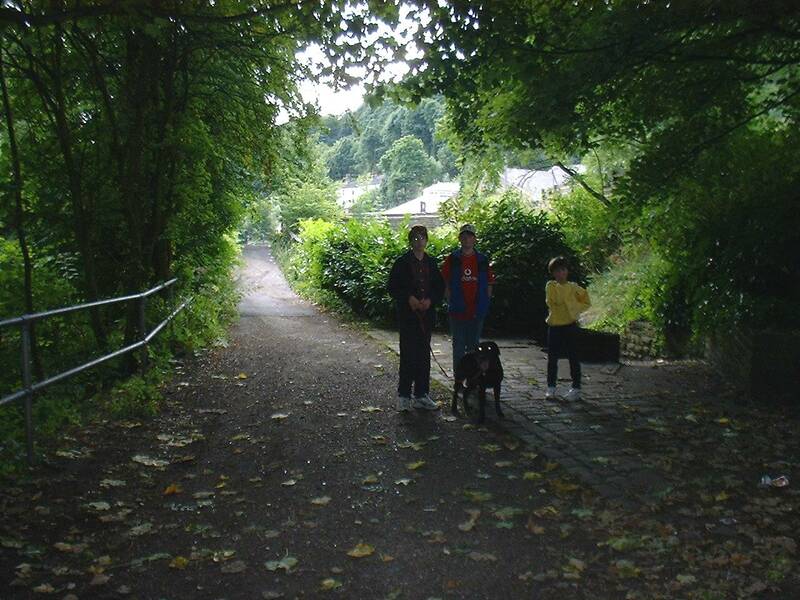 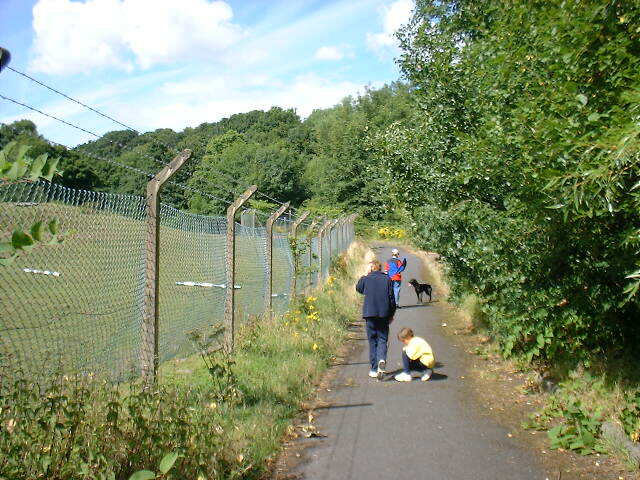 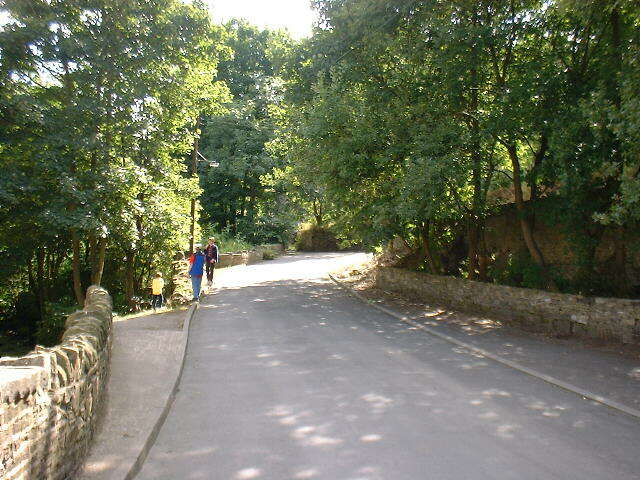 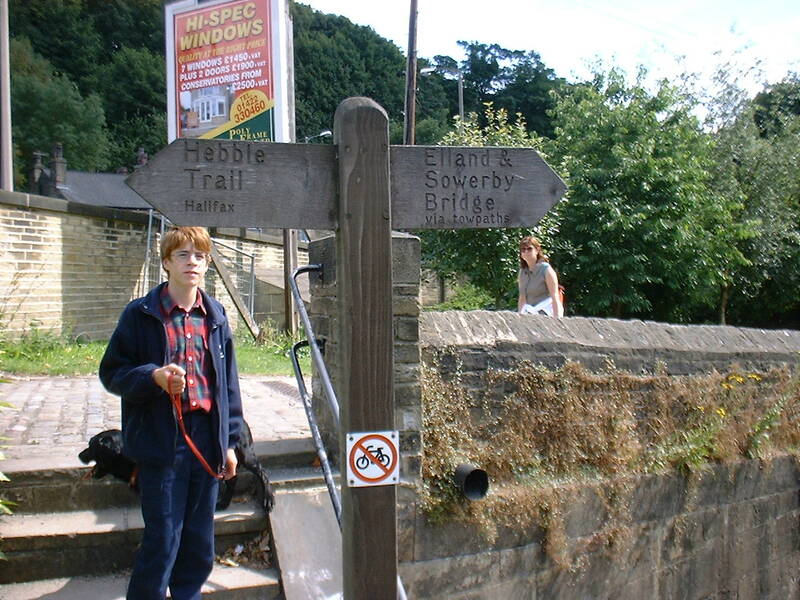 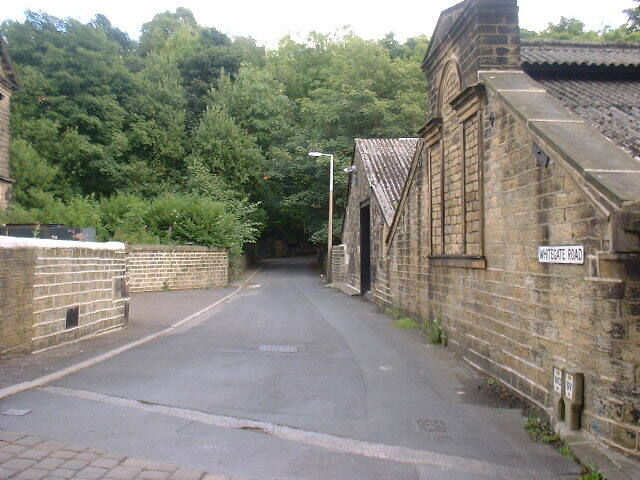 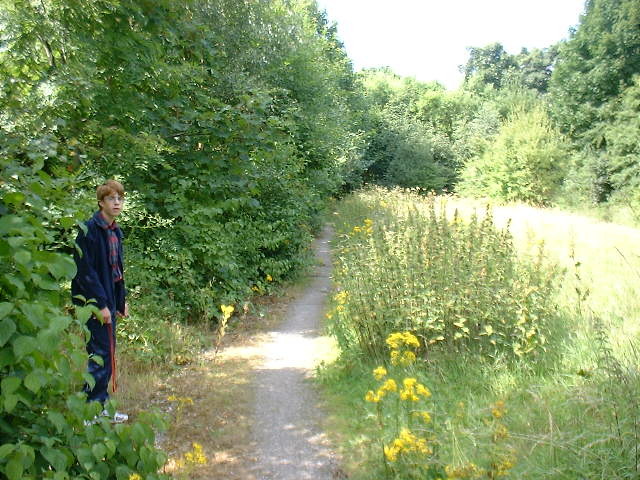 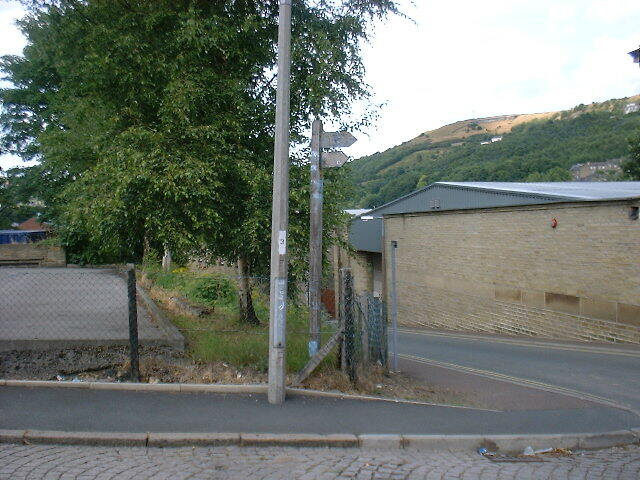 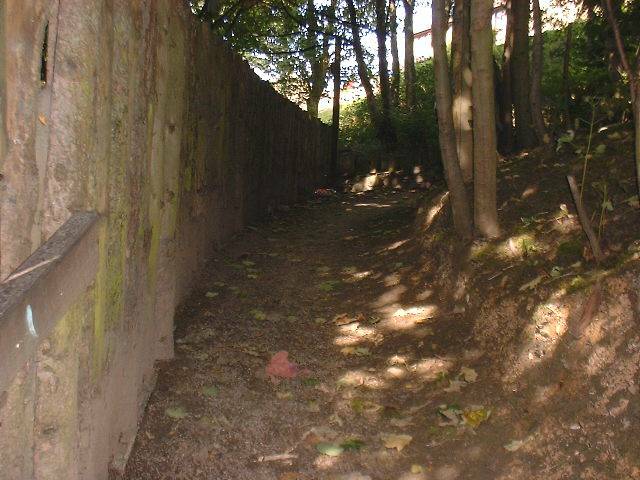 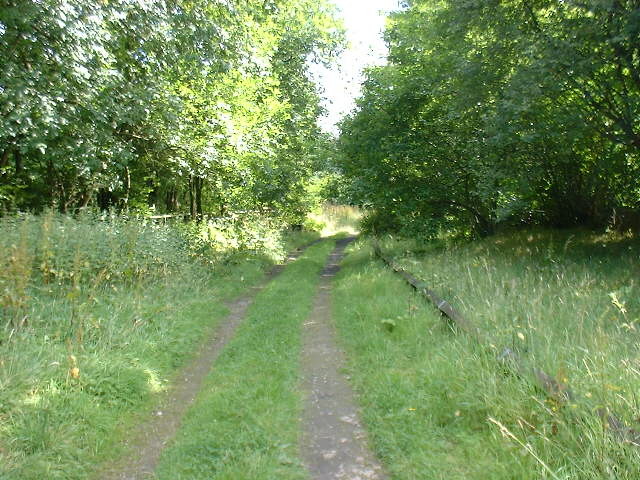 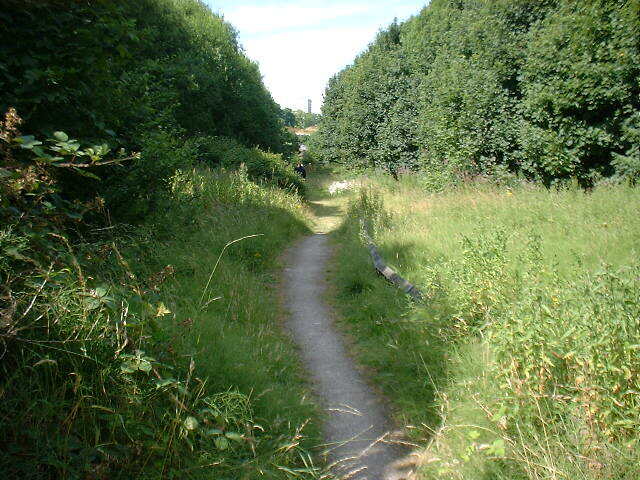 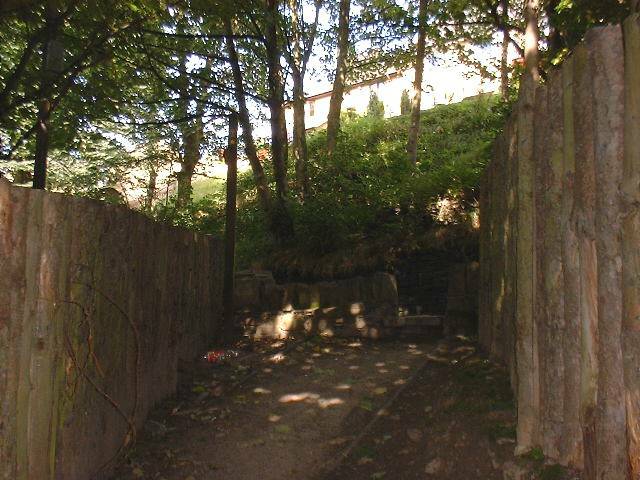 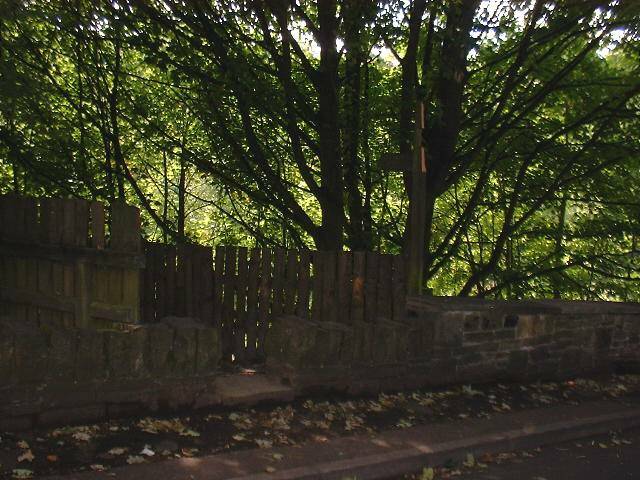 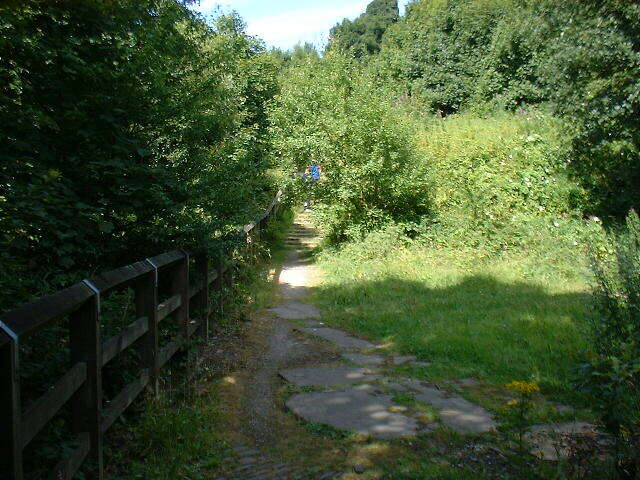 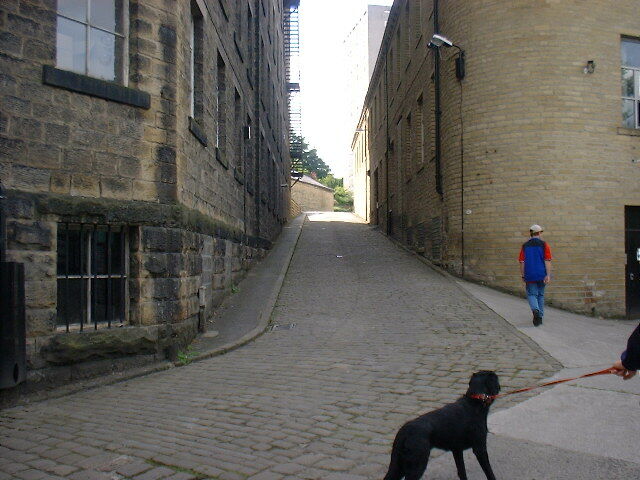 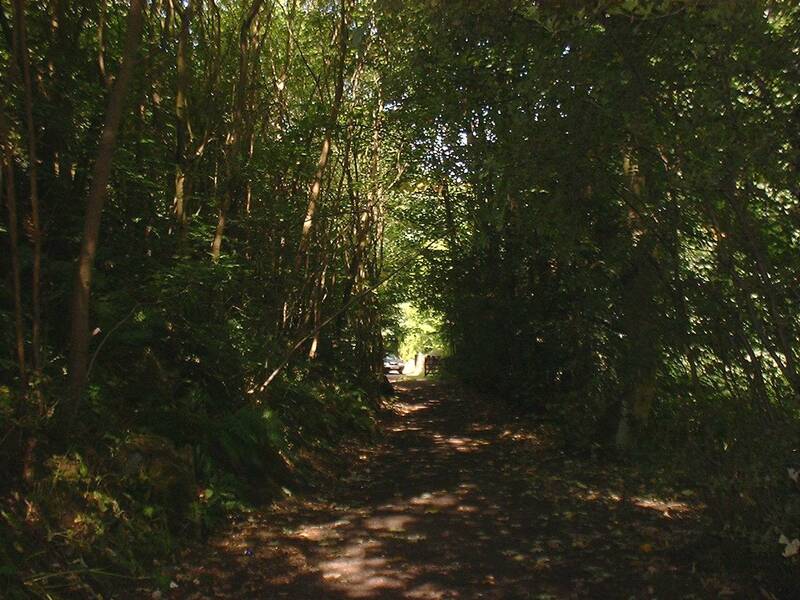 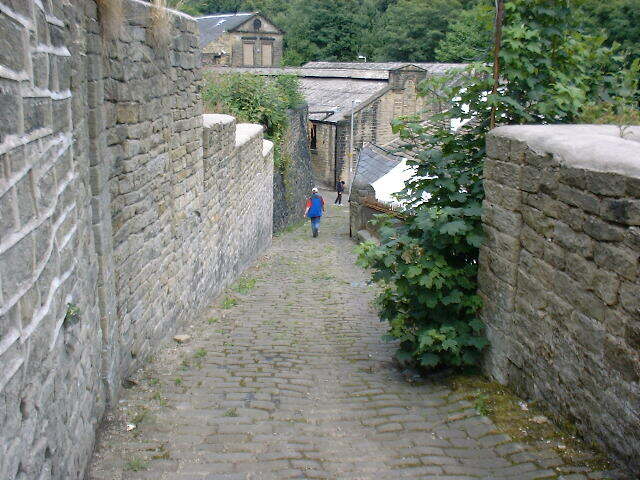 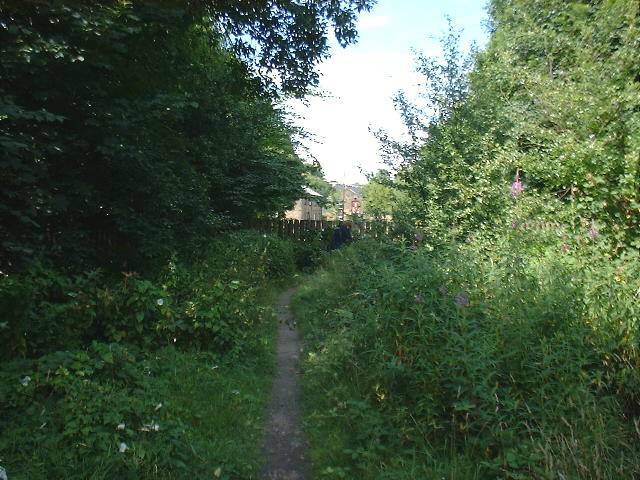 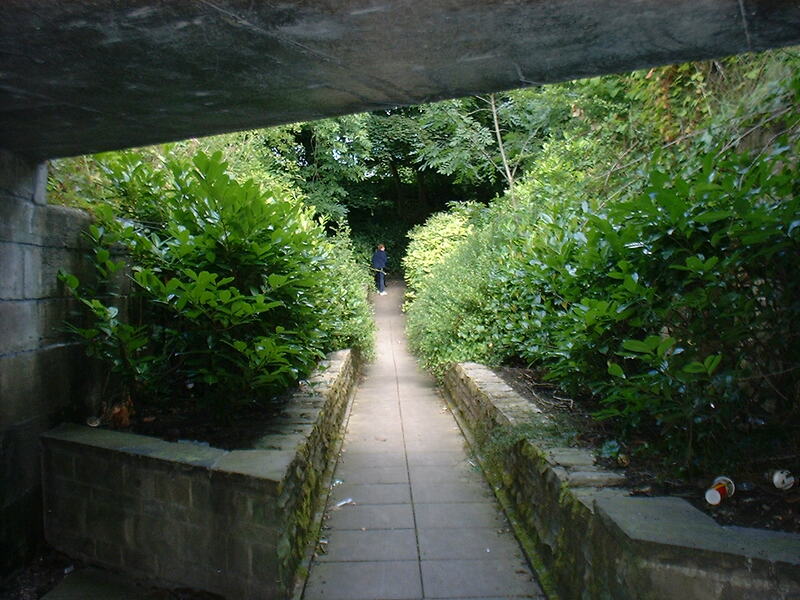 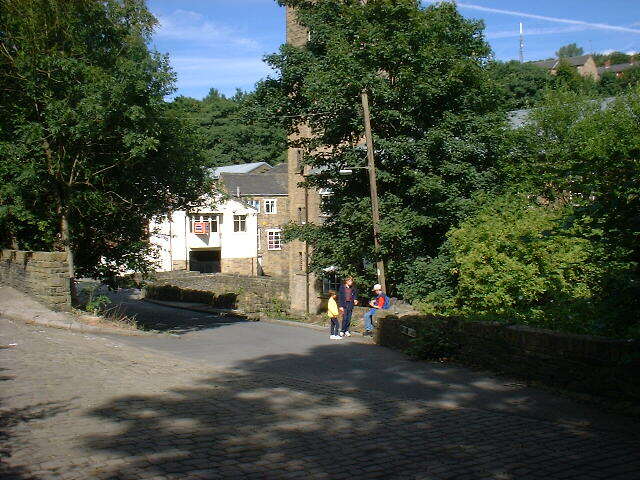 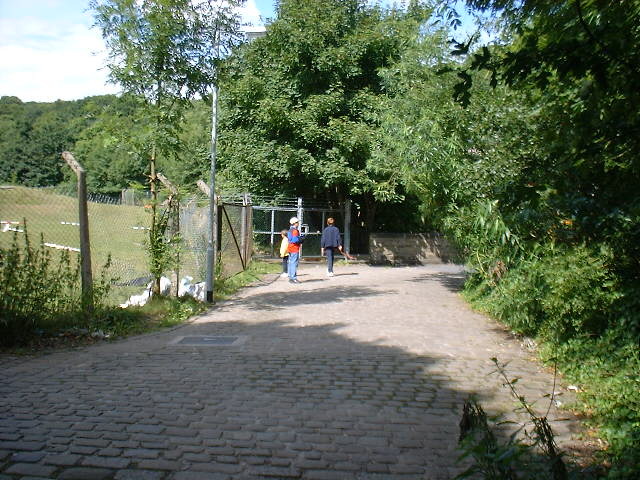 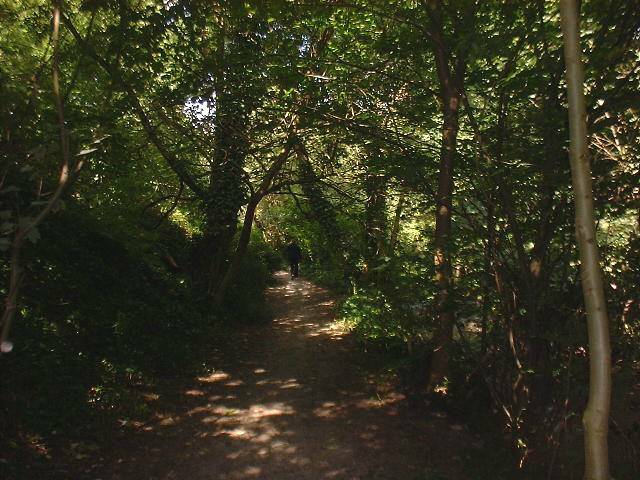 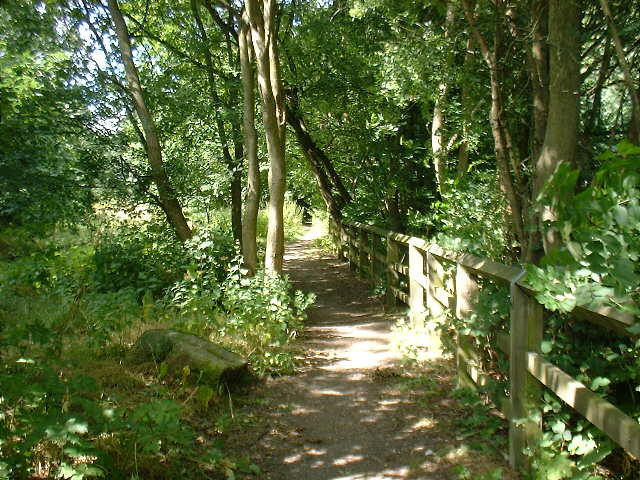 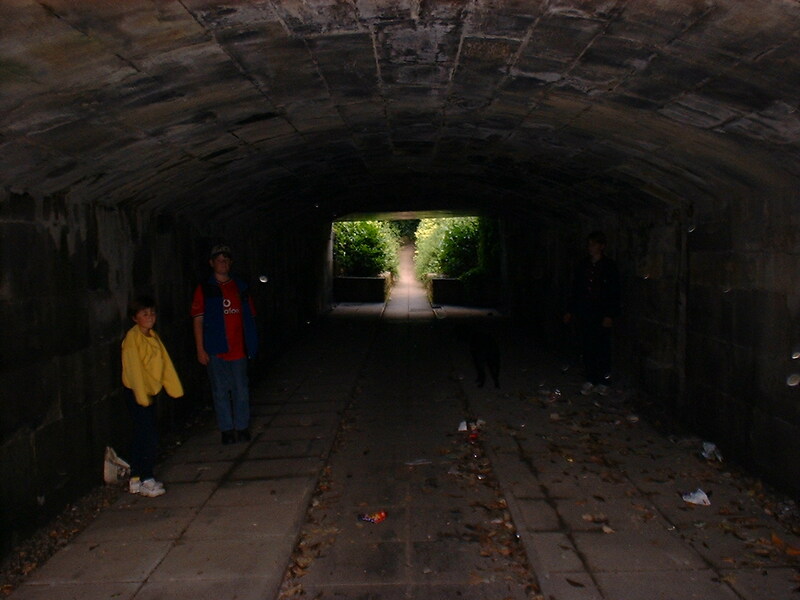 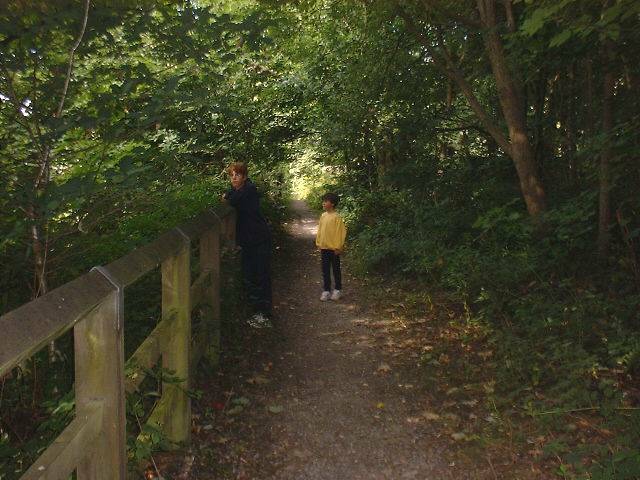 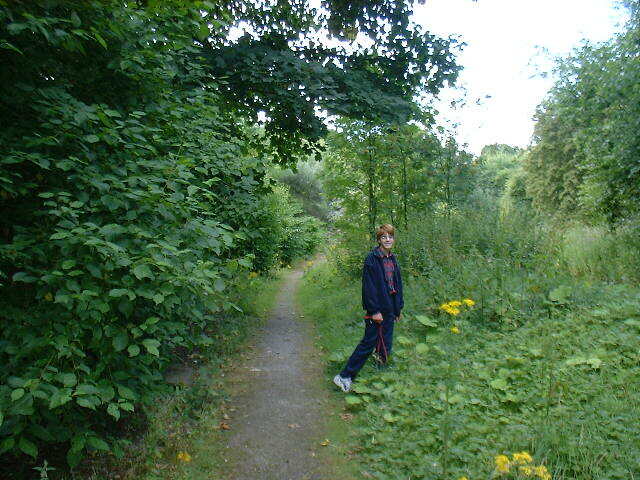 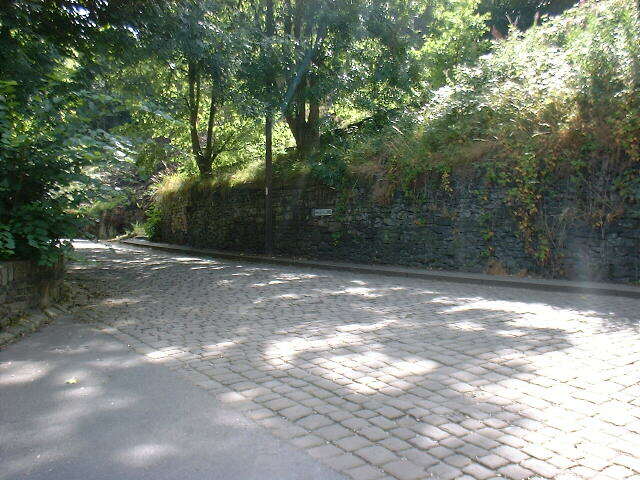 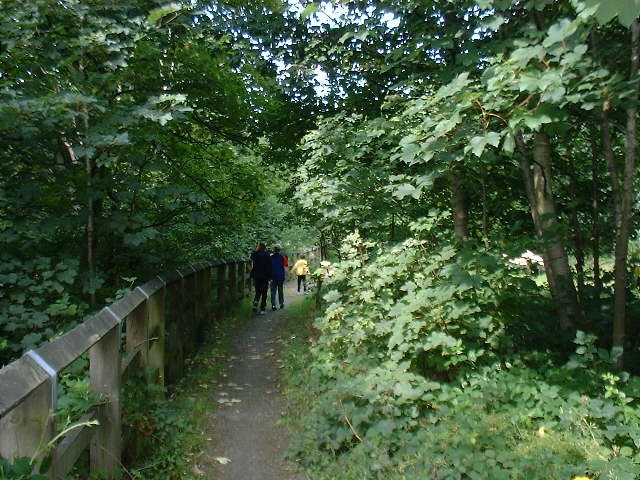 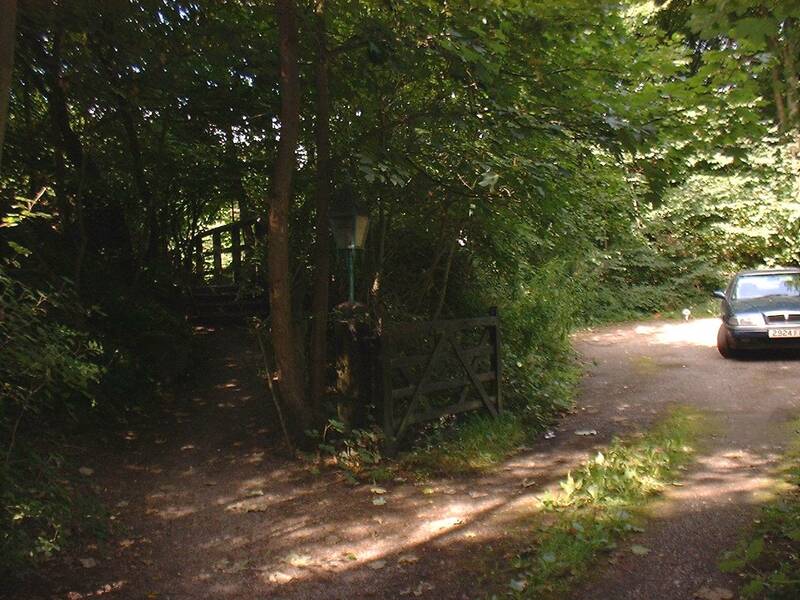 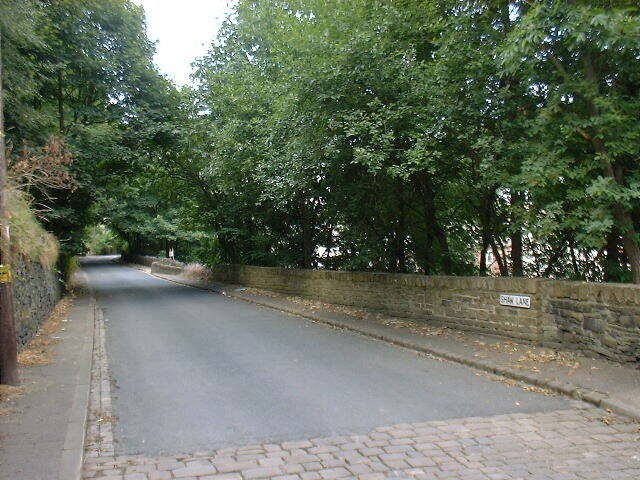 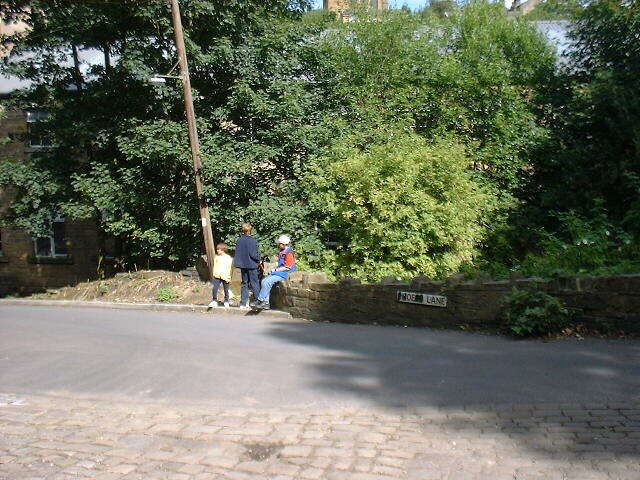 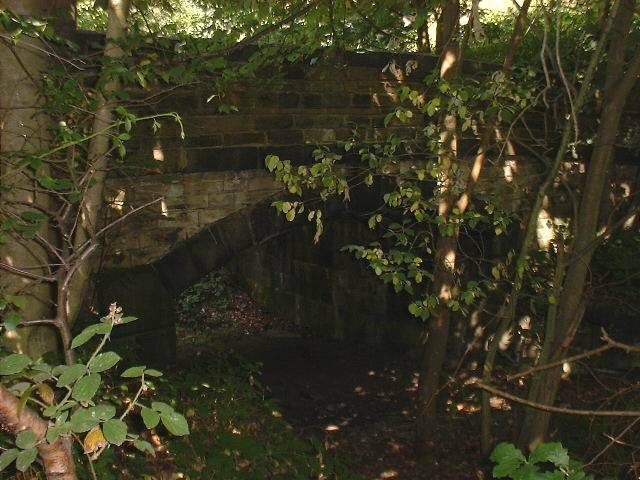 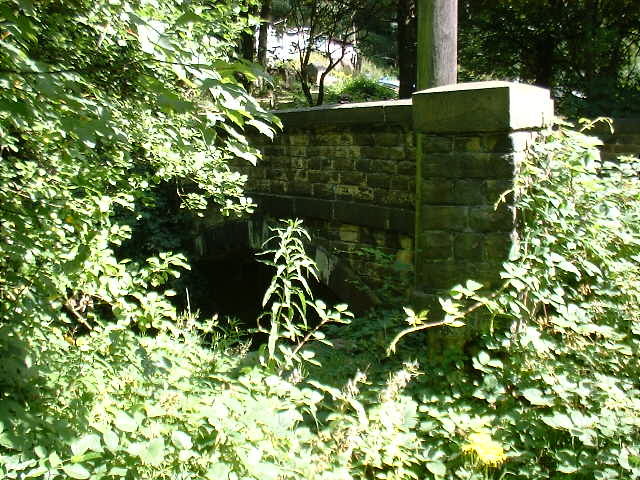 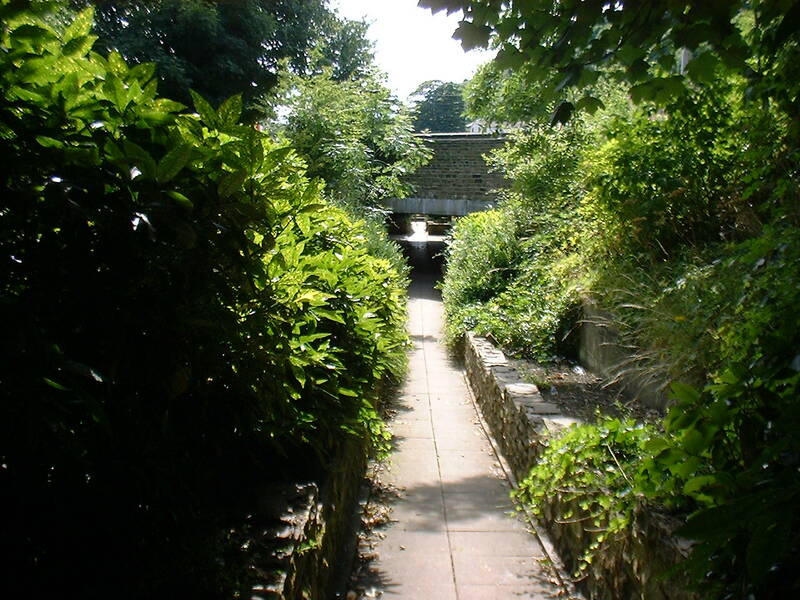 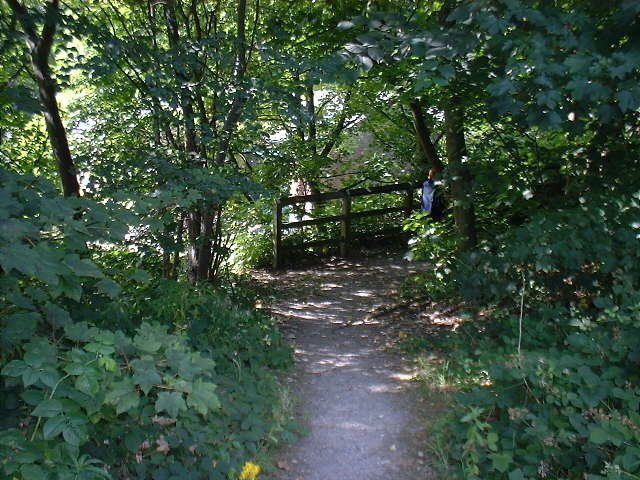 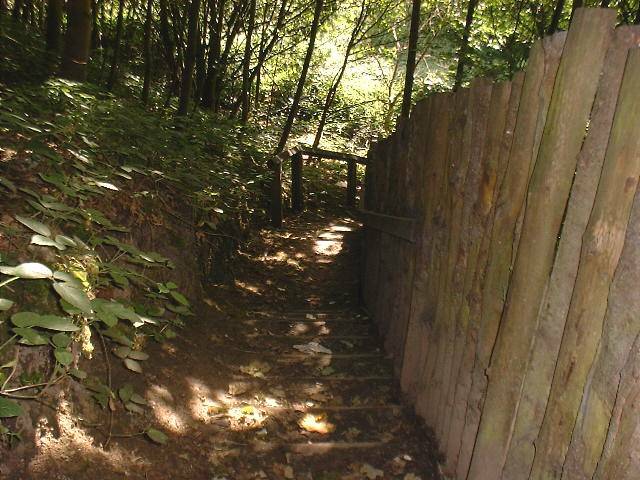 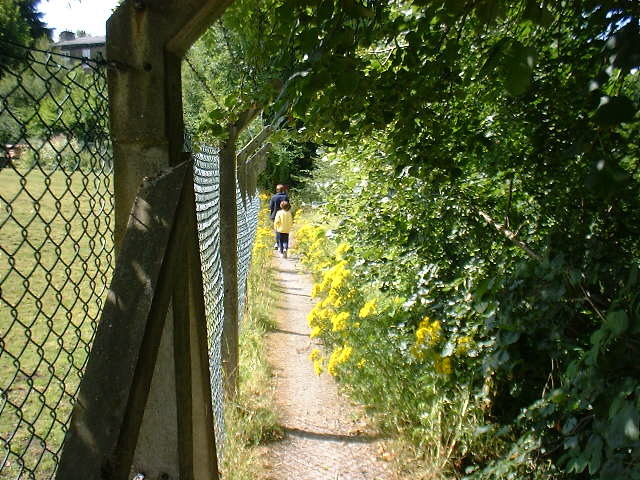 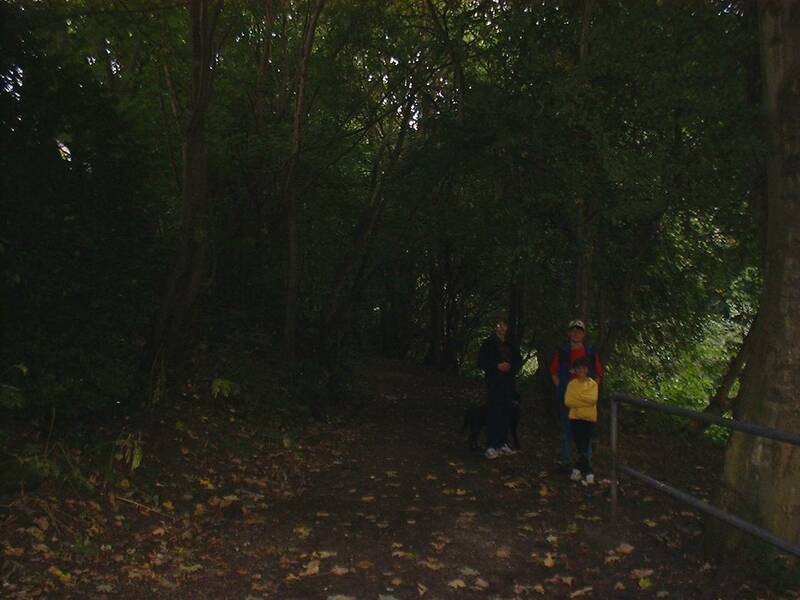 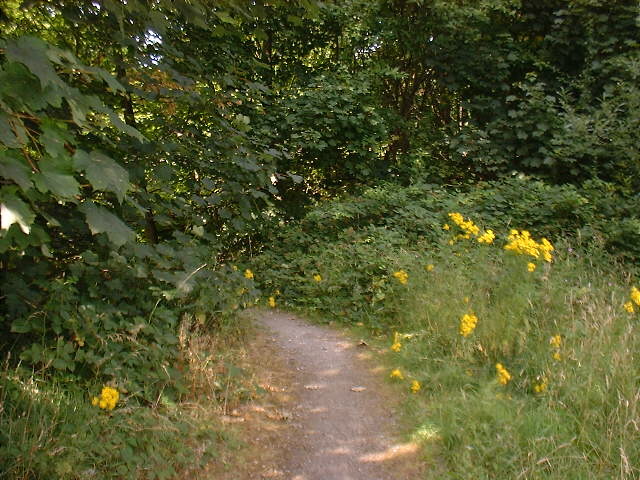 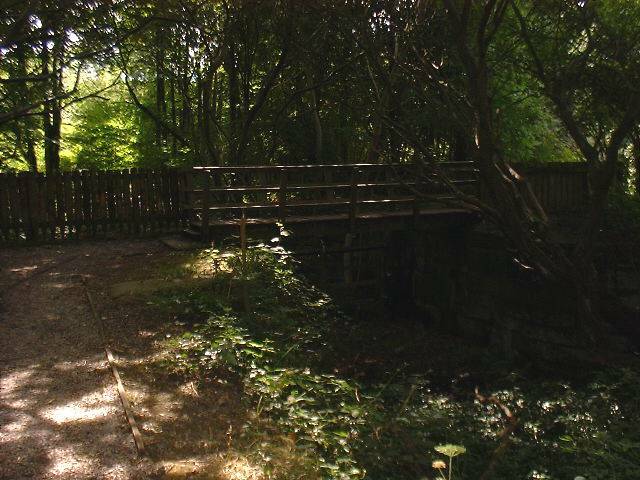 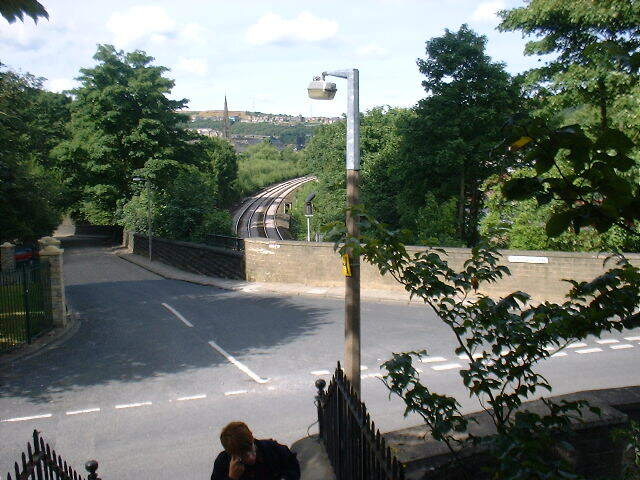 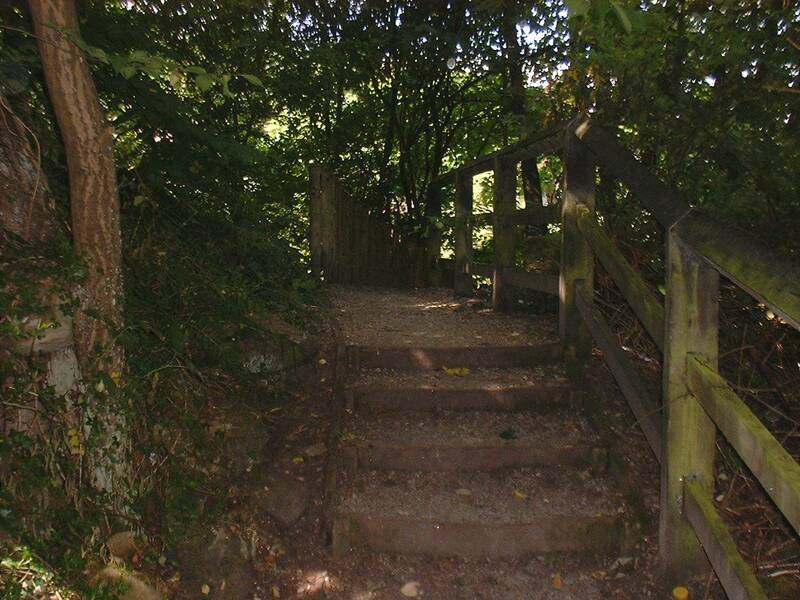 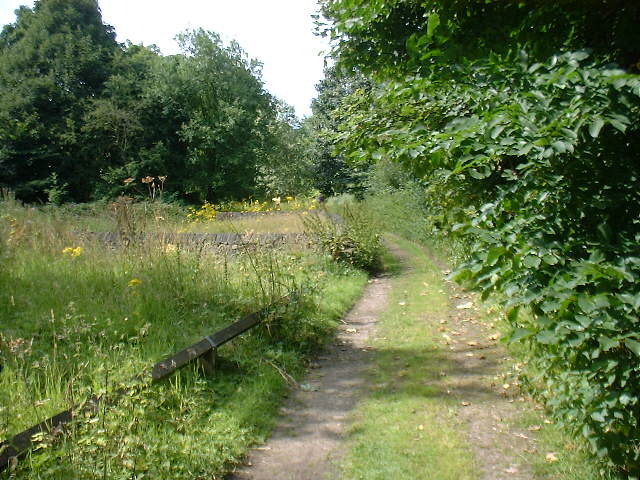 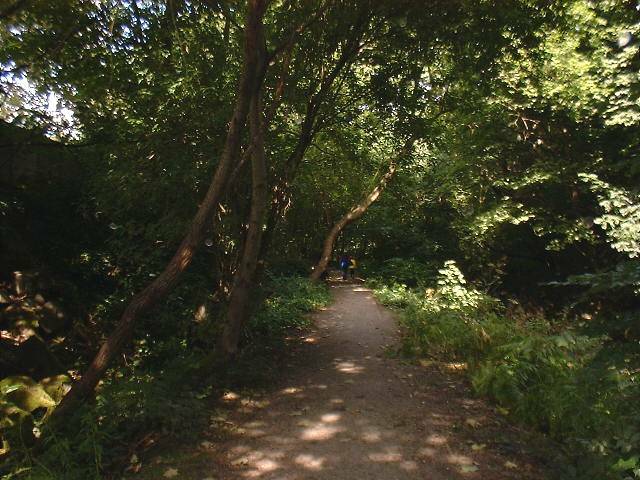 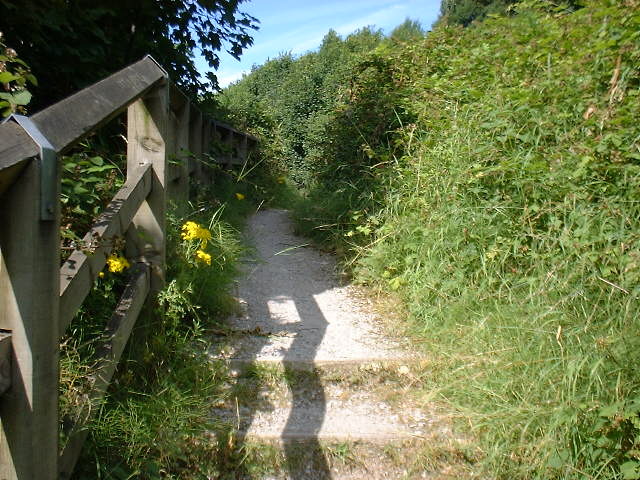 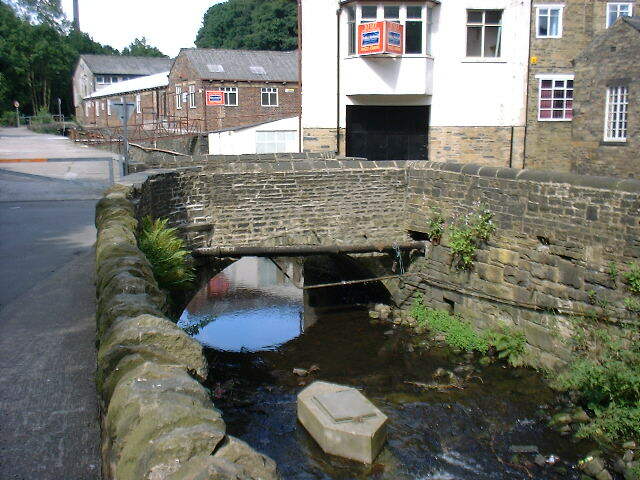 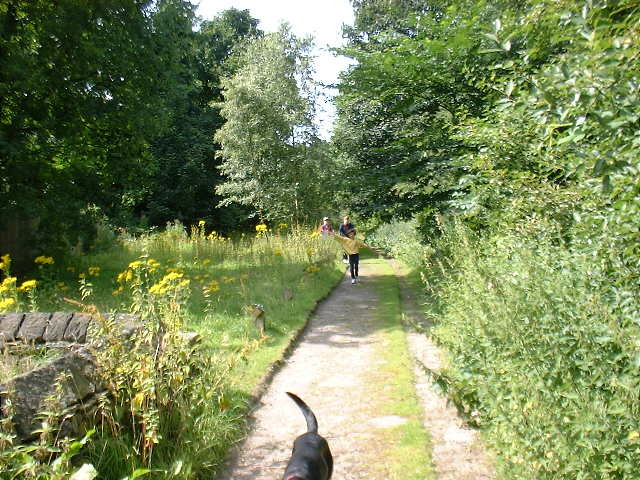 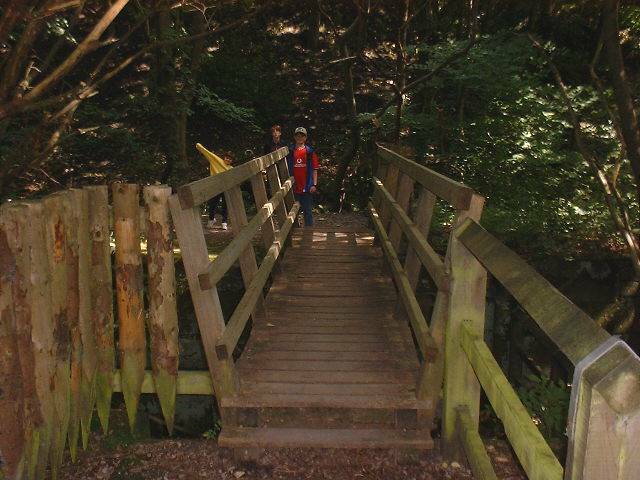 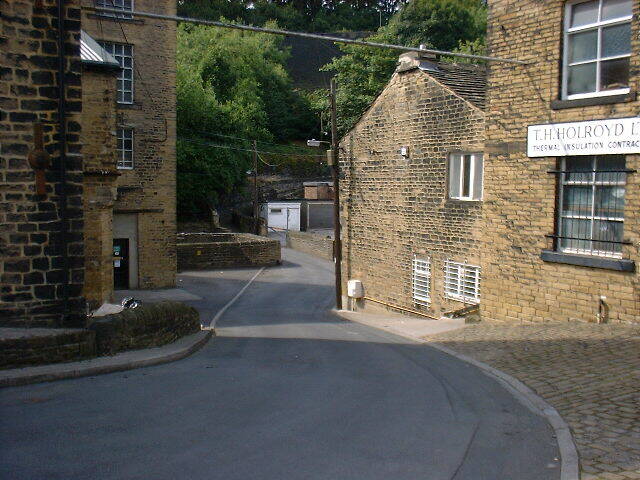 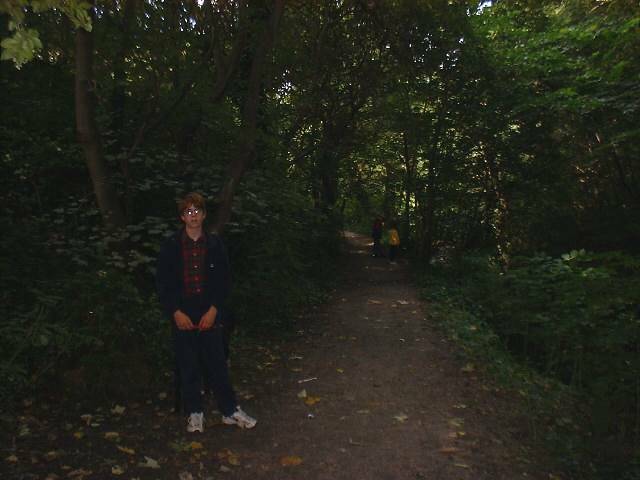 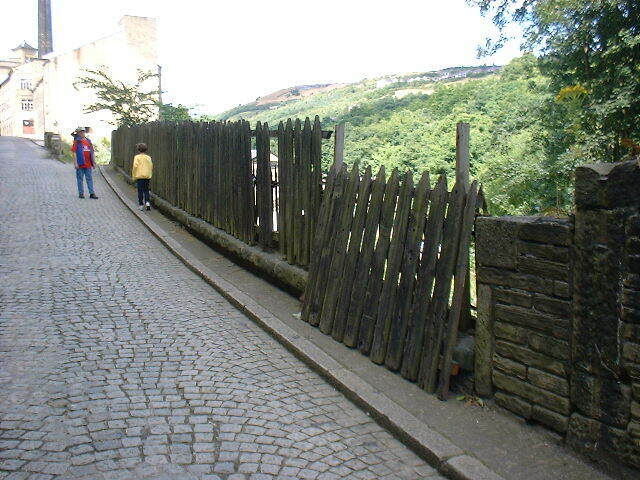 It runs from the railway station in Halifax, and follows the Hebble Brook to the foot of Salterhebble Hill. 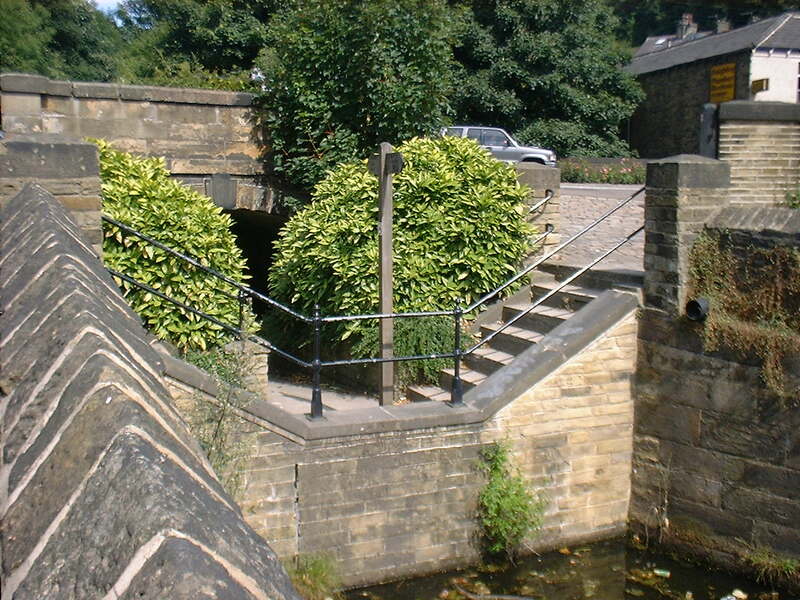 Environmental management and sustainability at John Holdsworth & Co Ltd has been an integral part of our business operations, addressed on an equal footing with the social and economic issues. 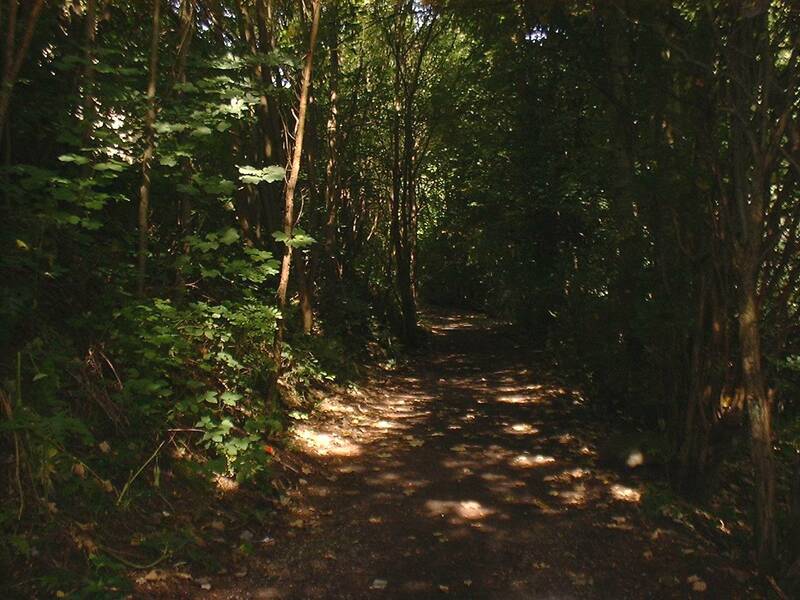 Continuous improvement has been fundamental to the implementation of the Environmental Policy through the management team, who implement the programme. 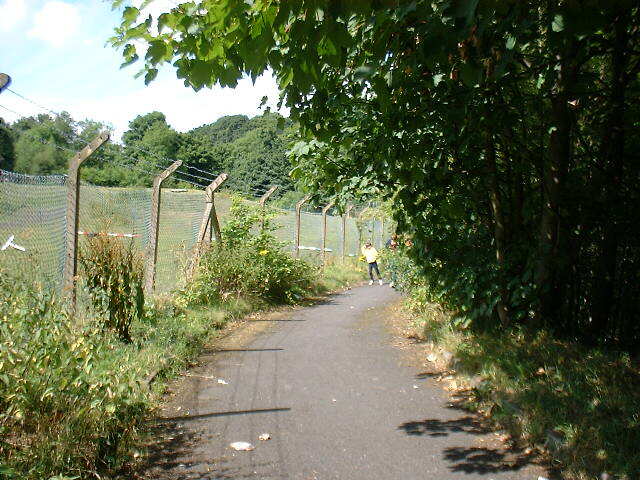 We had been looking at proposals to encourage the use of environment-friendly transport for employees and others in the local neighbourhood. 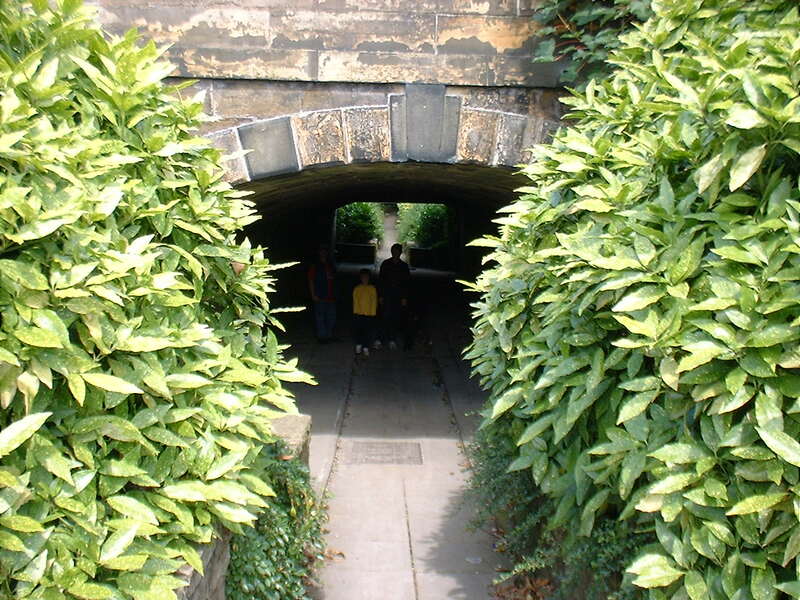 Commuting is one of the most important issues relating to the environment. 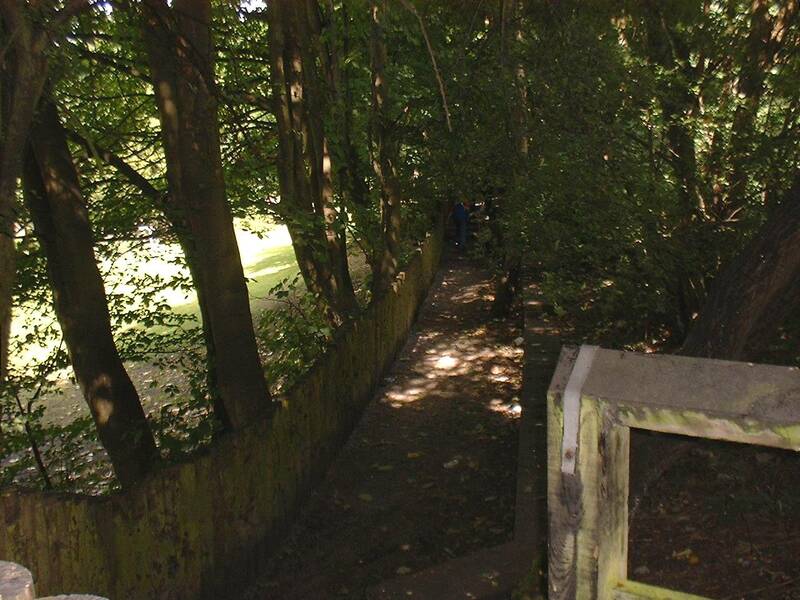 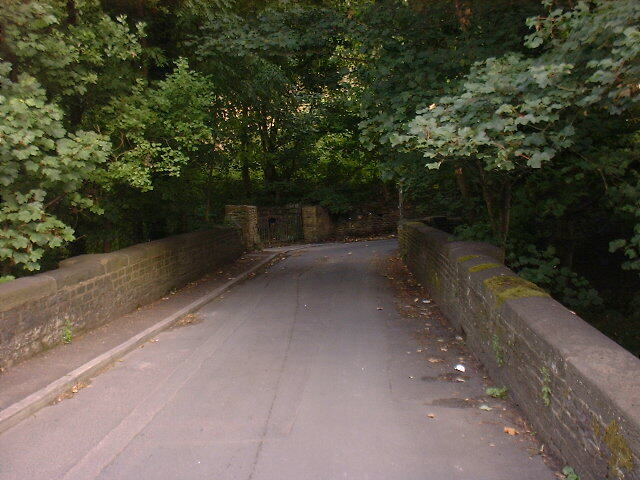 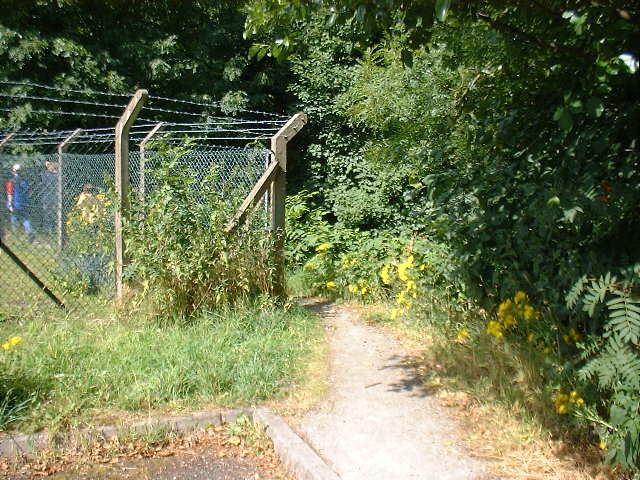 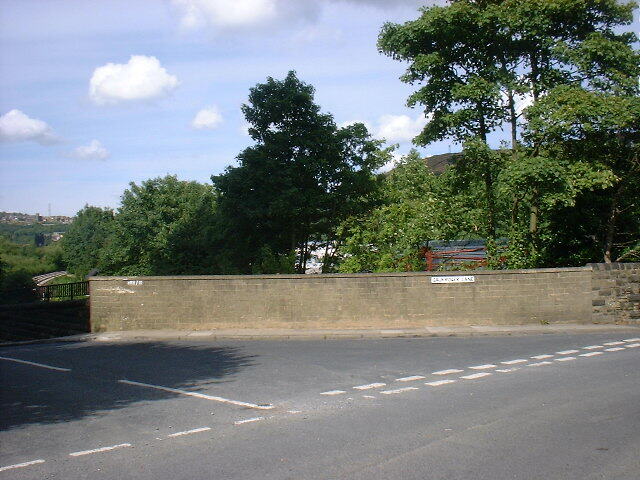 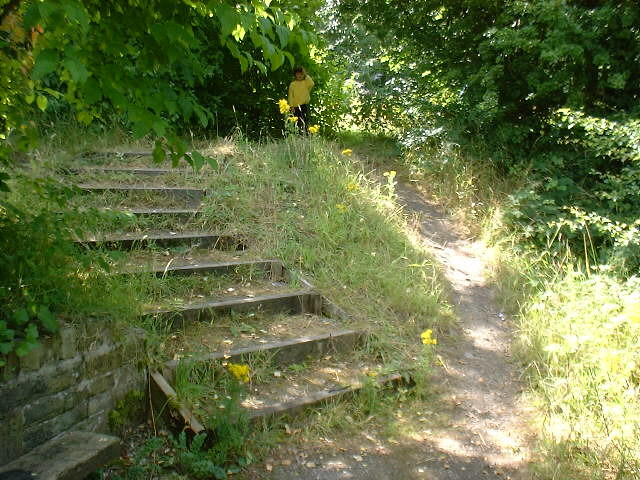 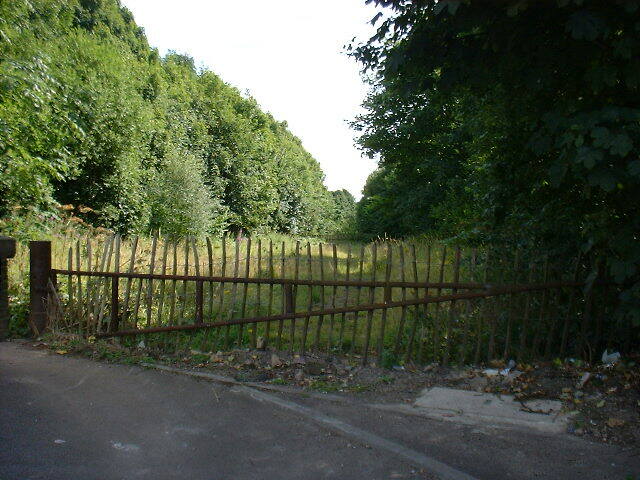 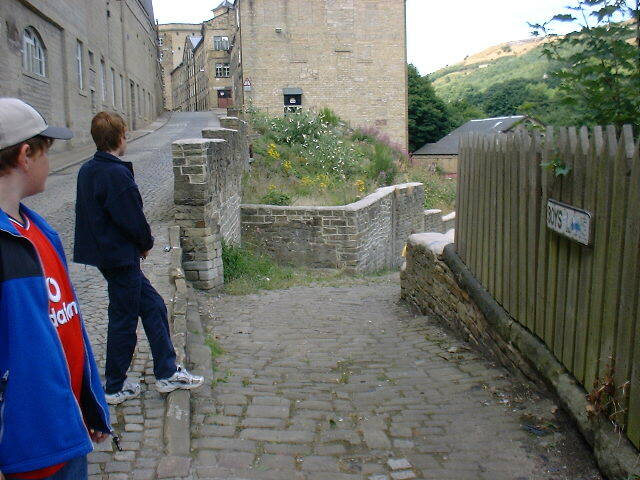 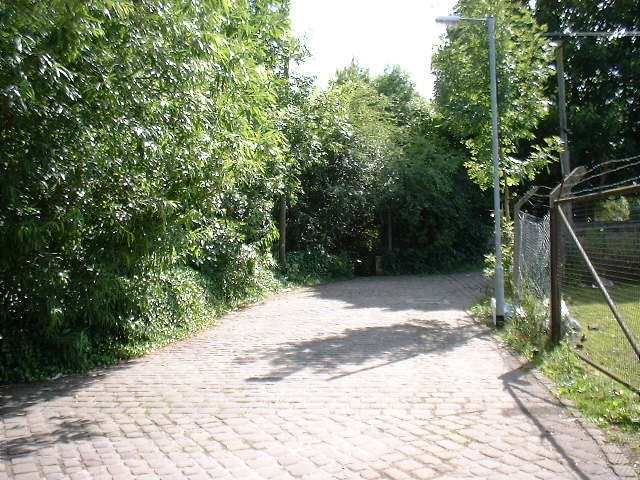 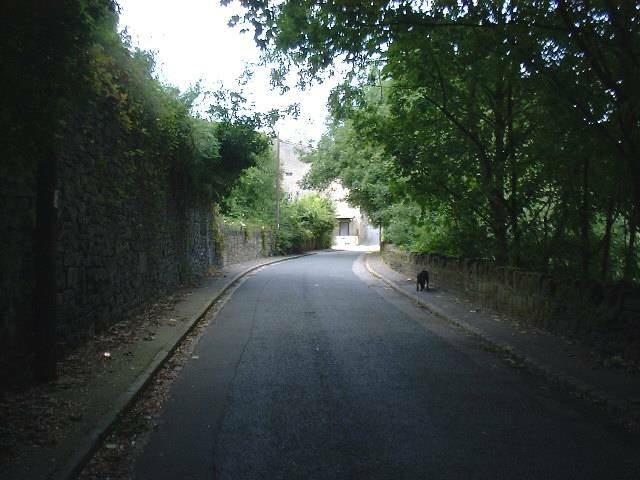 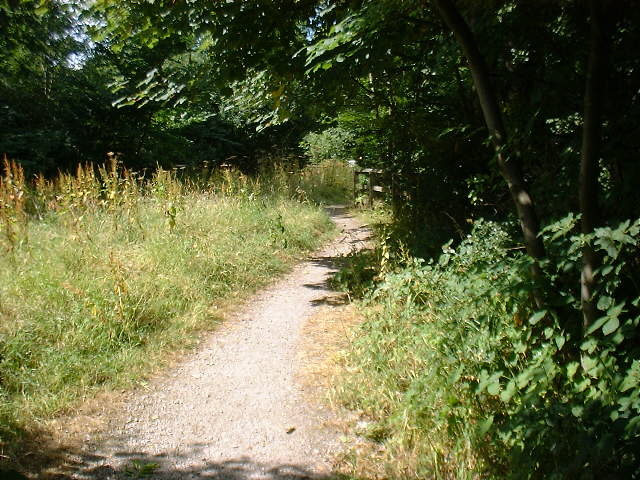 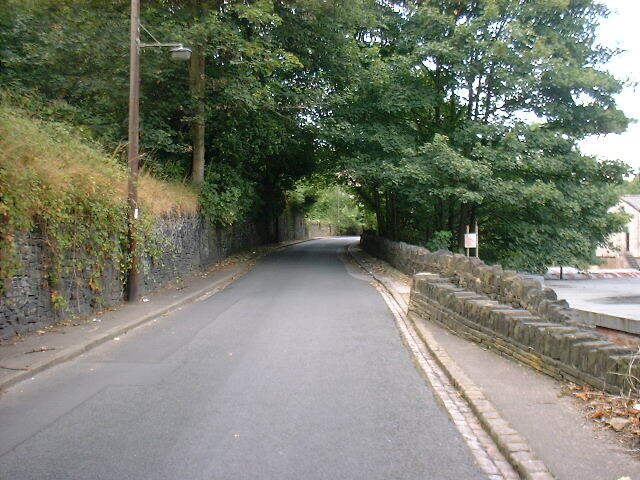 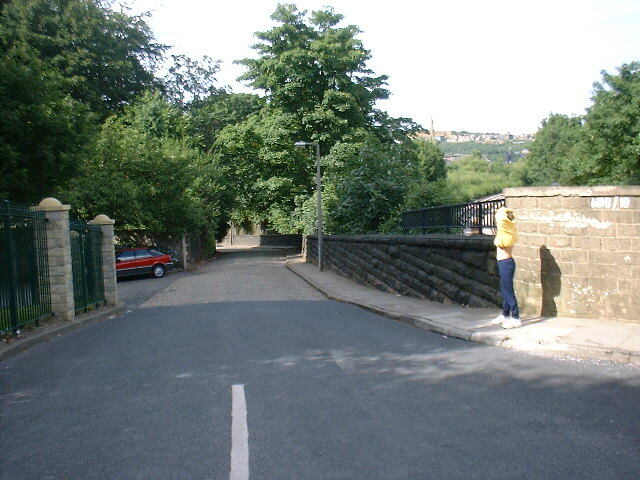 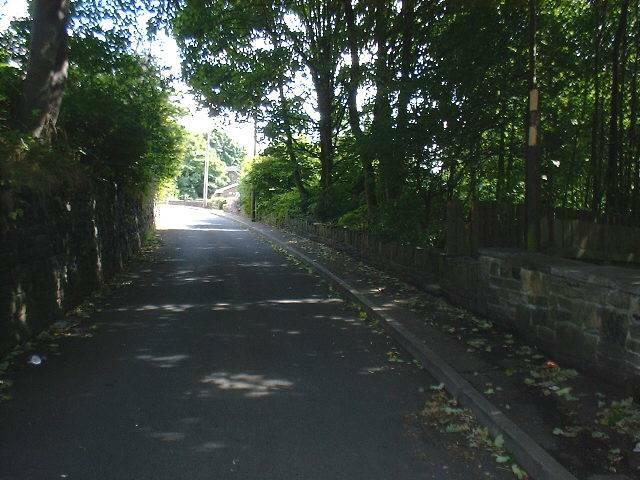 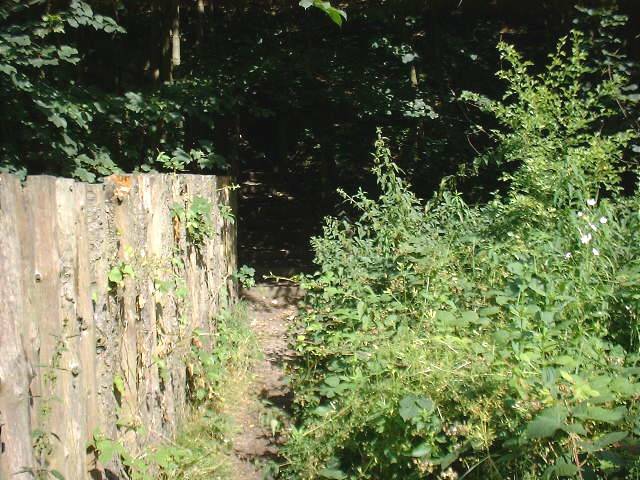 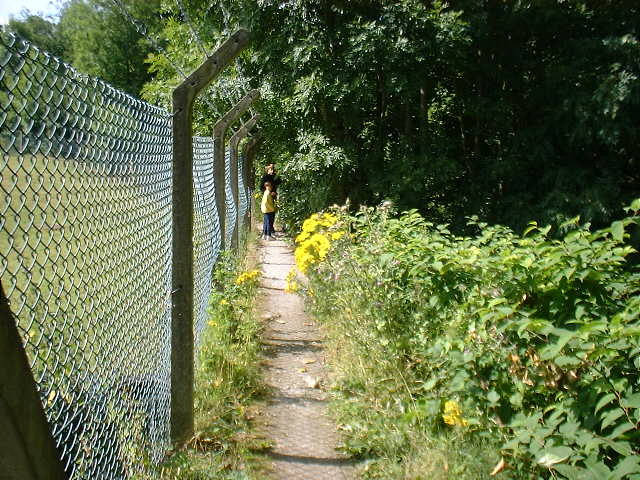 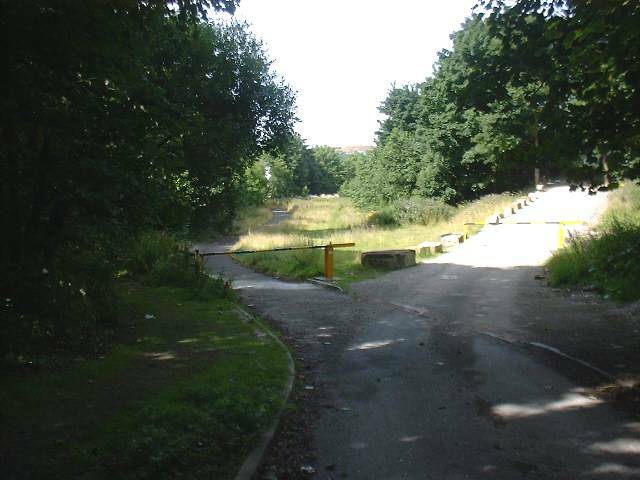 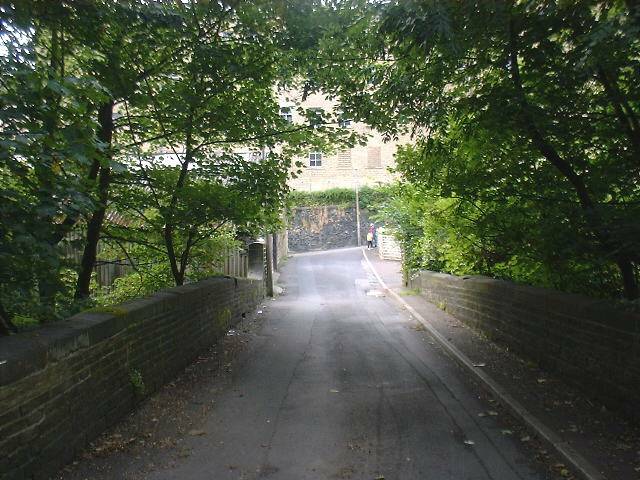 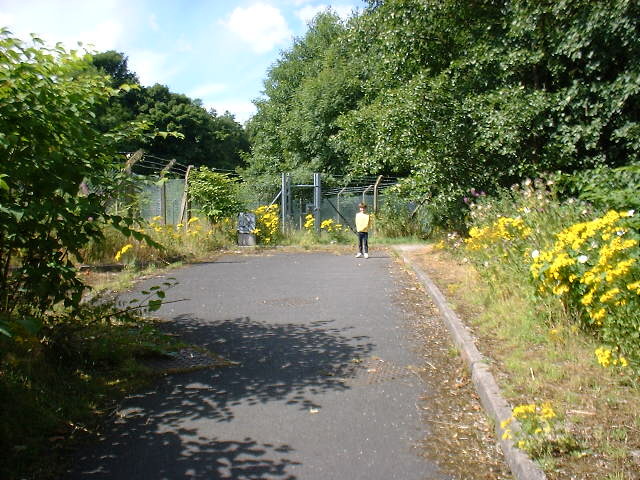 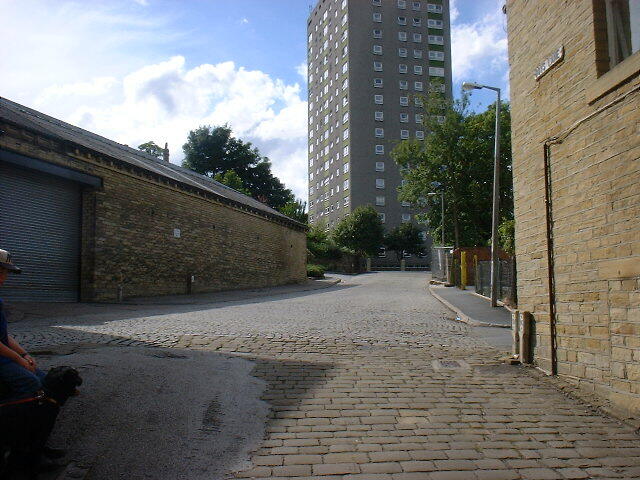 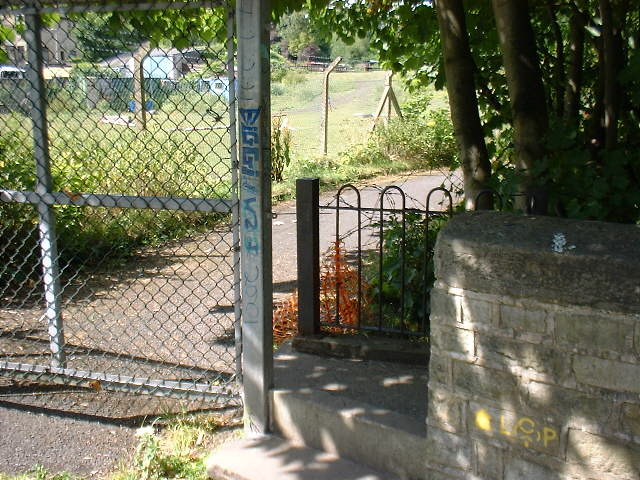 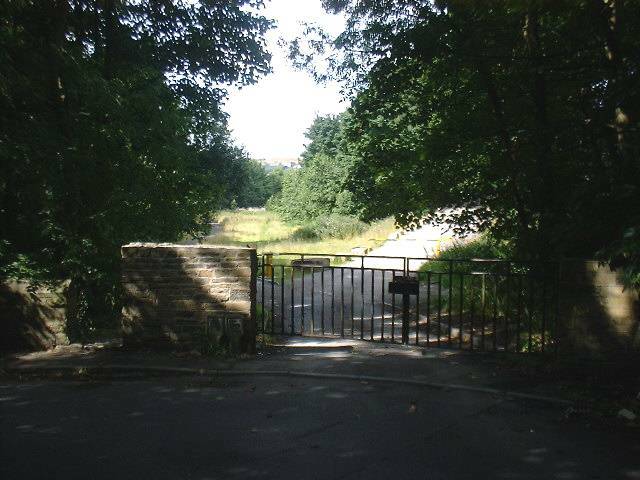 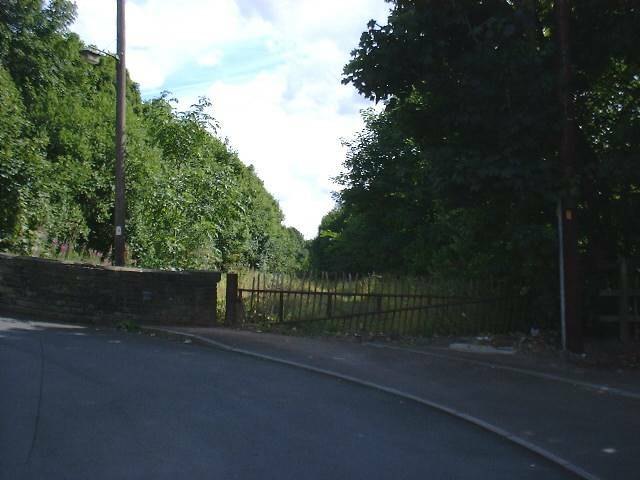 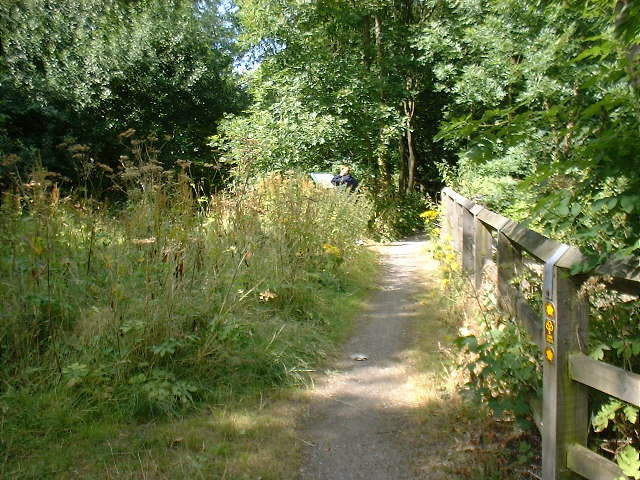 Here, the potential existed to create a new cycle way into Halifax whilst avoiding the steep hill at Salterhebble; following the route of the Halifax Branch of the Calder and Hebble Navigation alongside the Hebble Brook. 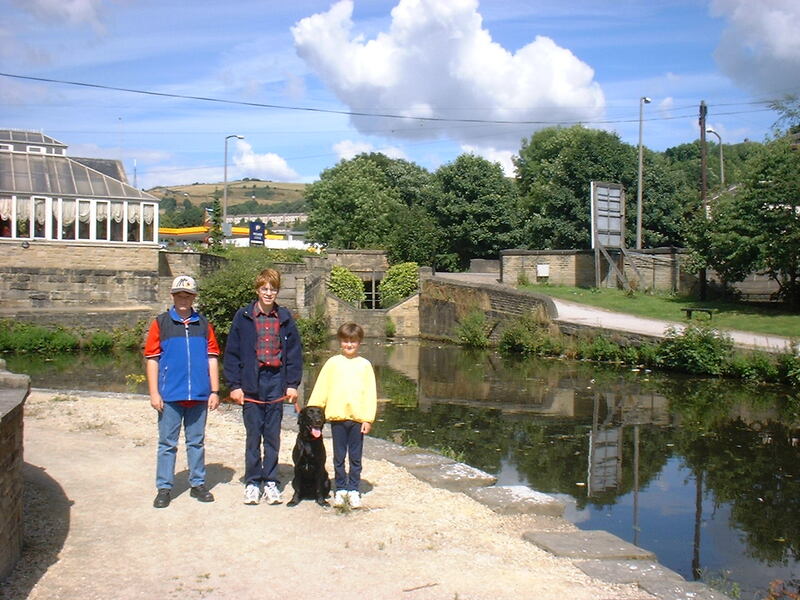 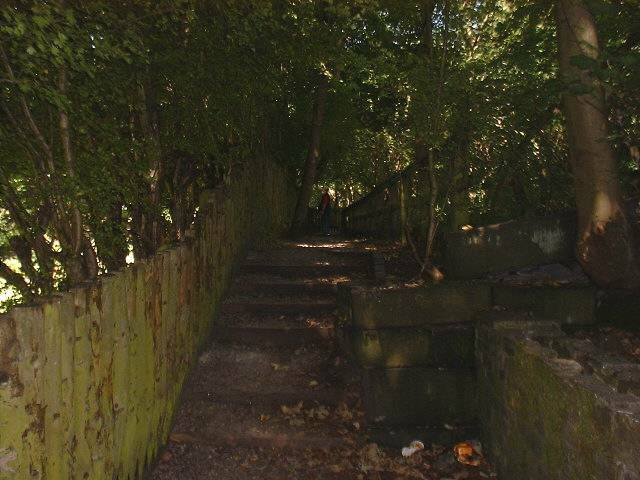 There had been renewed interest in re-opening this section of the canal system, as reported below; but sadly, since taking these photographs in 2001, a property developer has built several houses right on top of the old canal. 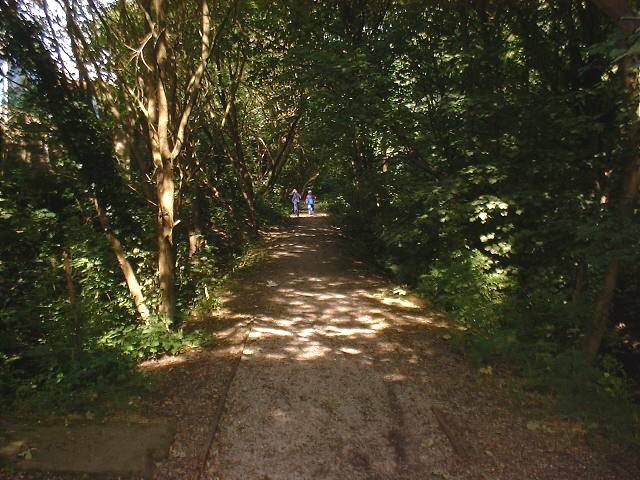 In association with local and national agencies, other local businesses and interested parties, we envisage the creation of a safe route which joins up with the national cycle network. 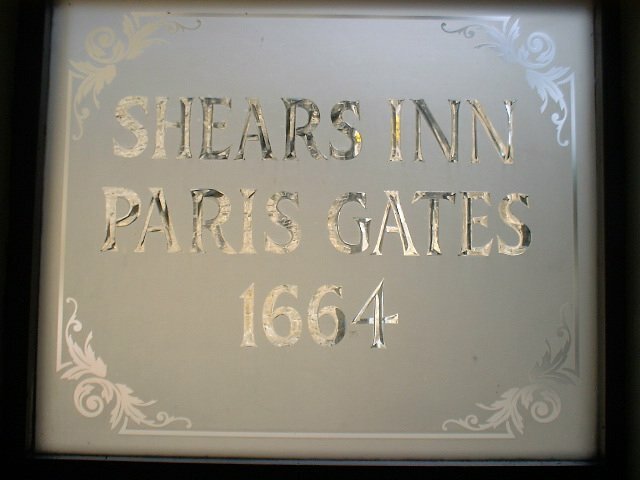 It is with this in mind, that we have carried out an initial inspection, and taken some photographs of the itinerary from Salterhebble through to the Shears Inn at Paris Gates. 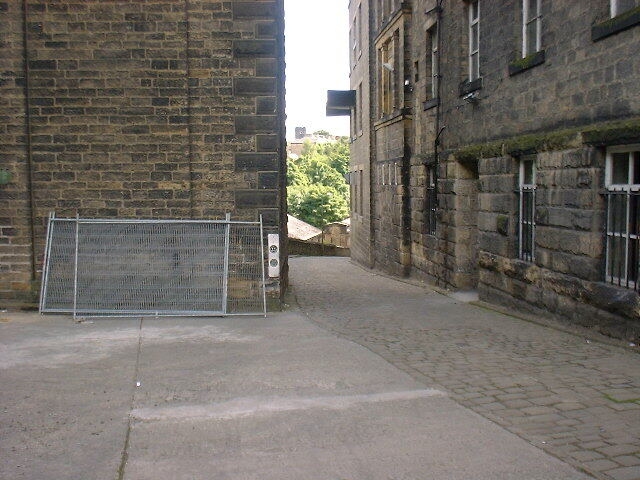 These are shown below; click on any image to see an enlargement. 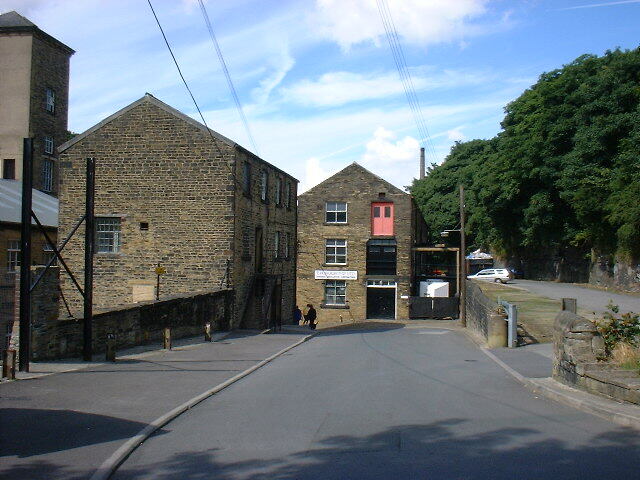 Shaw Lodge Mills, the premises of John Holdsworth & Co Ltd are located immediately next to the route of the Halifax Branch Canal which joins the Calder and Hebble Navigation Canal at Salterhebble. 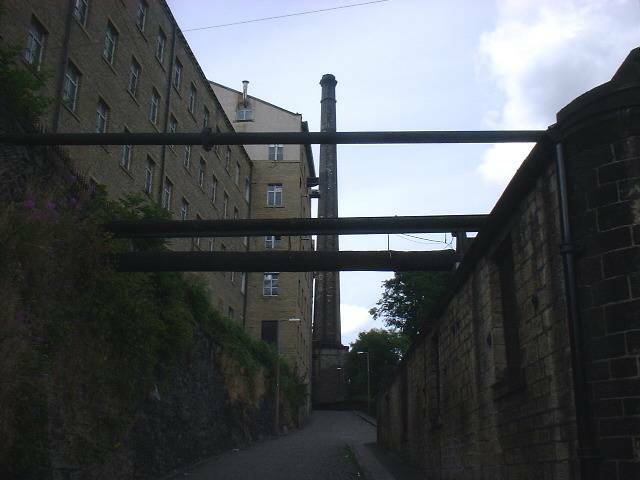 It was along this canal that horse-drawn barges used to bring coal to the Company's boiler house where boilers generated steam to drive the massive steam engines, as well as to heat the buildings. 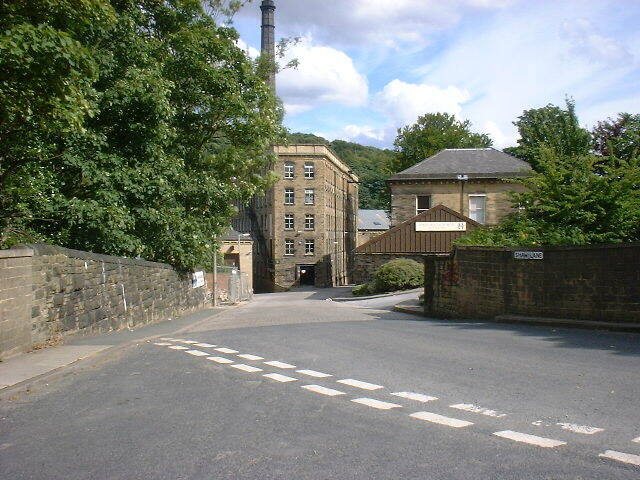 Coal was also used by the Company to produce coal gas, which was required for indoor lighting. 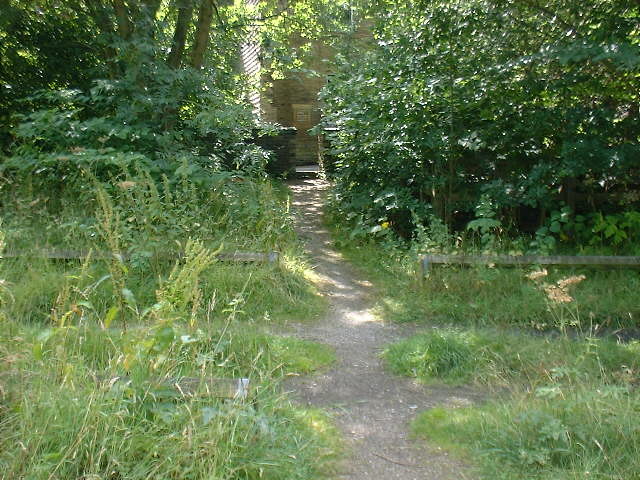 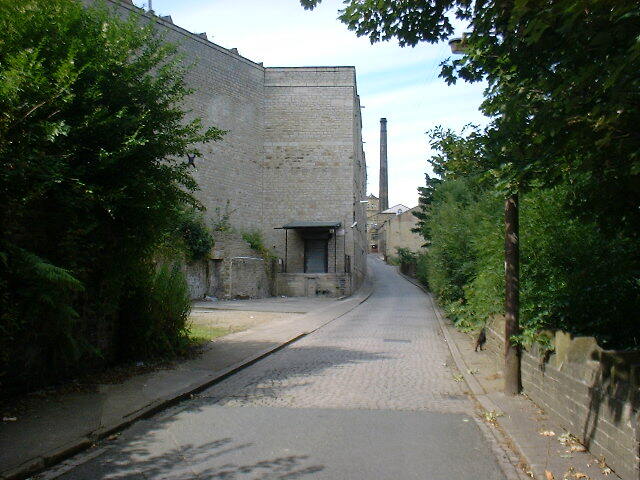 Within the premises today are the unique remains of gas retorts, benches and storage tanks, which we believe to be an important heritage site. 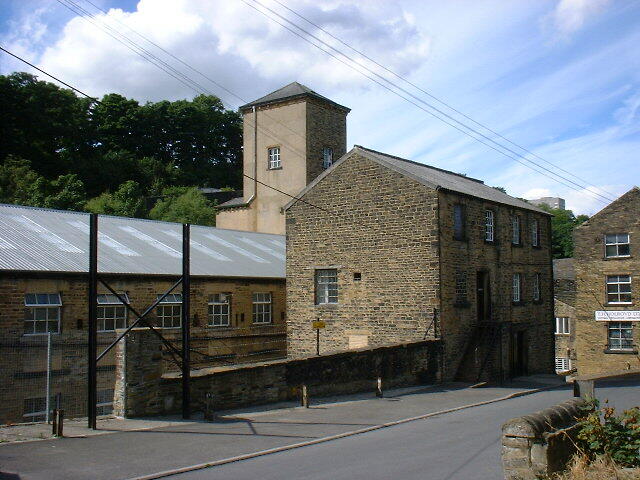 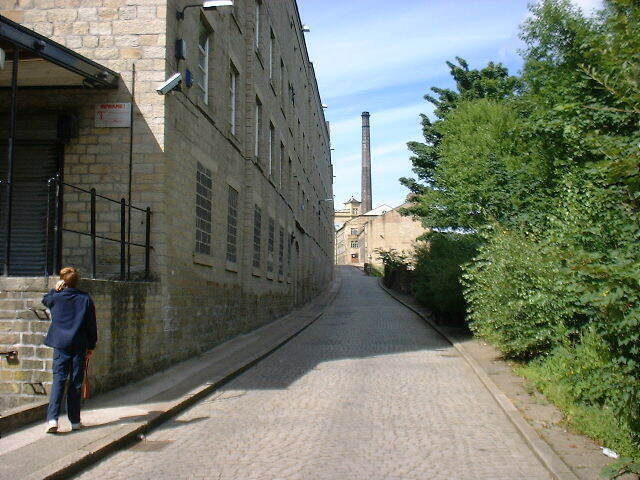 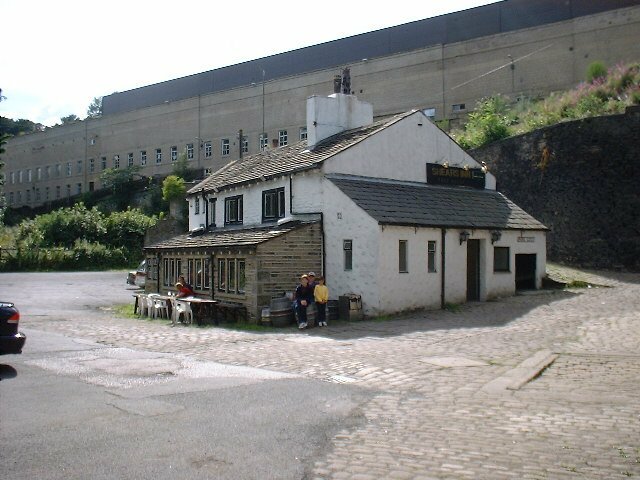 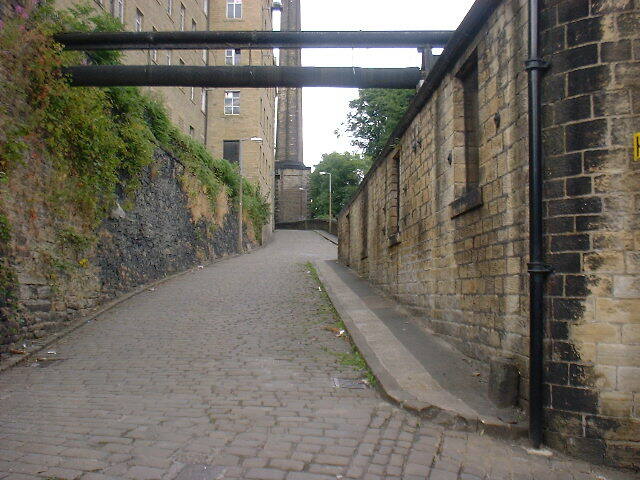 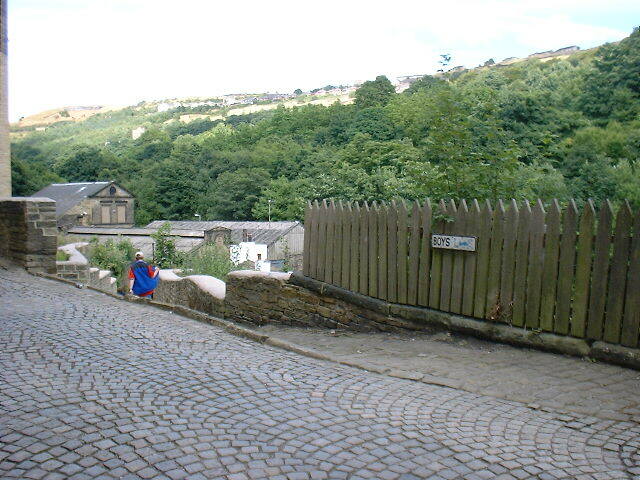 Shaw Lodge Mills, showing Halifax Branch Canal. I heard recently from an old-hand that the workmen used to unload two barges a day, each bringing about thirty-six tons of coal to Shaw Lodge Mills. 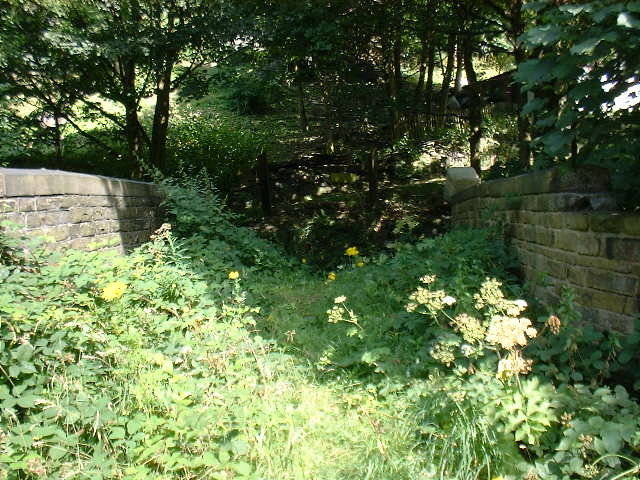 The canal remained in use until 1942 and now leaves a gaping hole in the valley bottom, through what is still a wooded waterway. 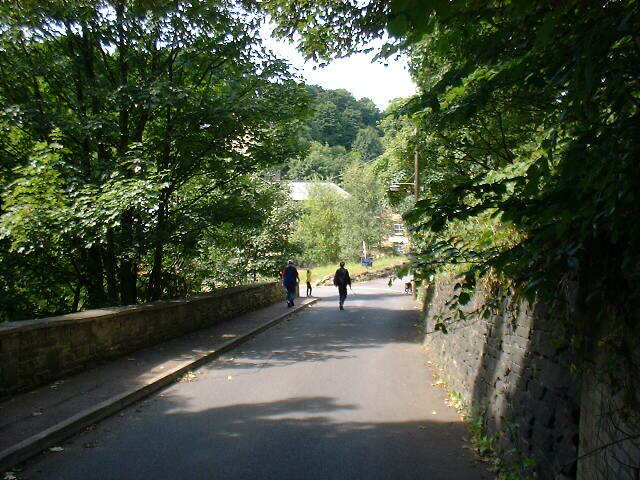 It is so hidden in places, that you can hardly believe that you are still in the town. 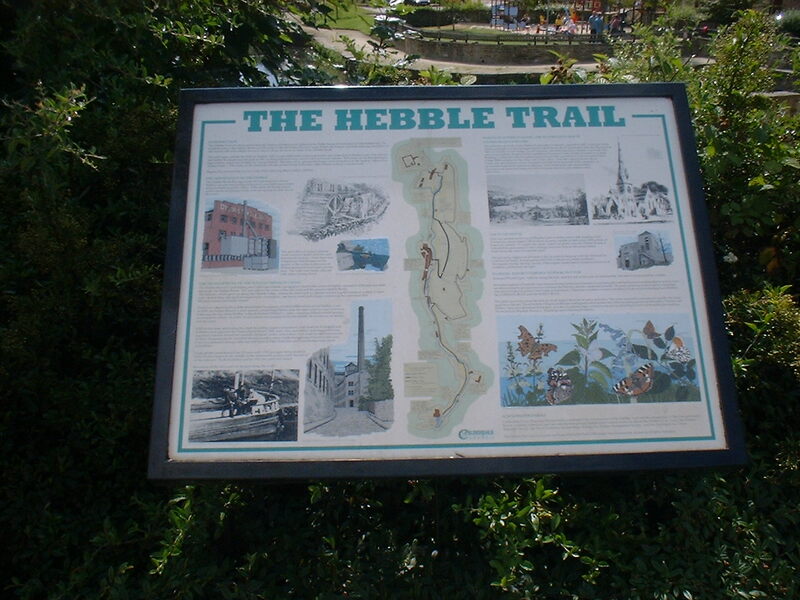 One can walk the canal's route, along the Hebble Trail, but wouldn't it be wonderful to walk along it and see the canal again? 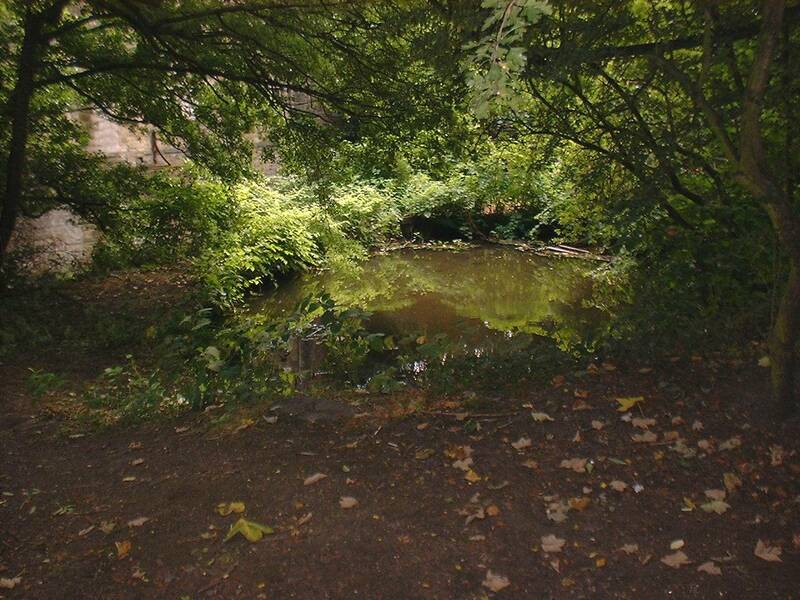 There's nothing like water to give a quality feel to a place, making it attractive, tranquile and bringing wildlife into an urban surrounding. 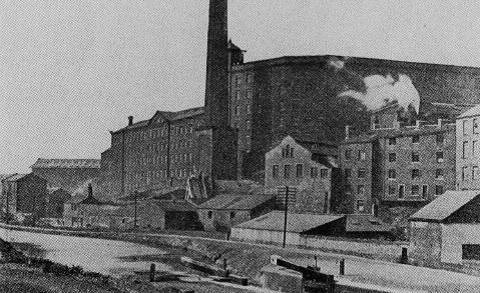 As far as the town is concerned, Halifax should see its heritage as a constructive marketing tool in generating its renaissance.